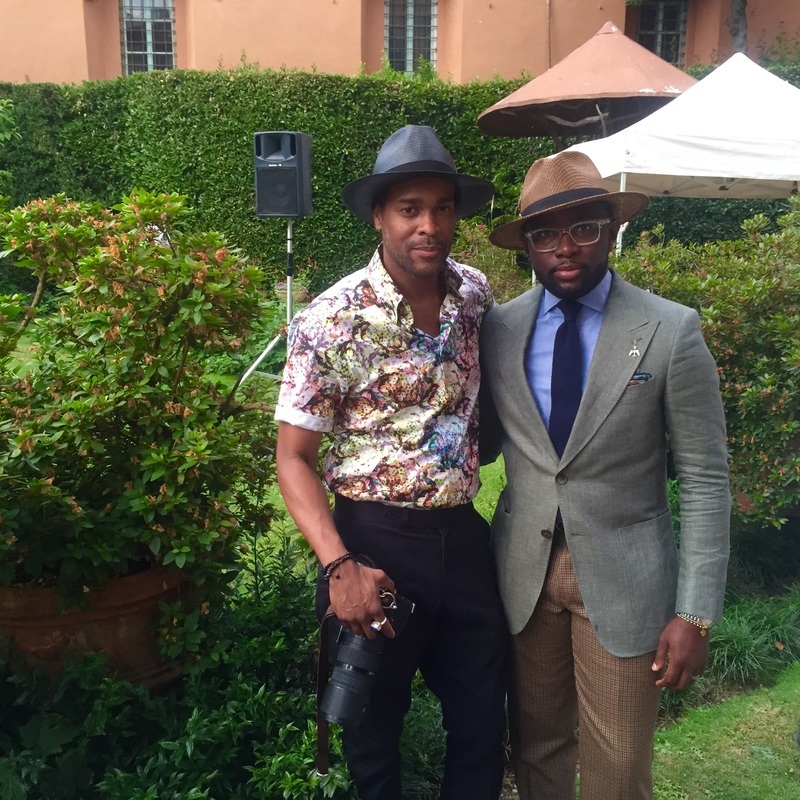 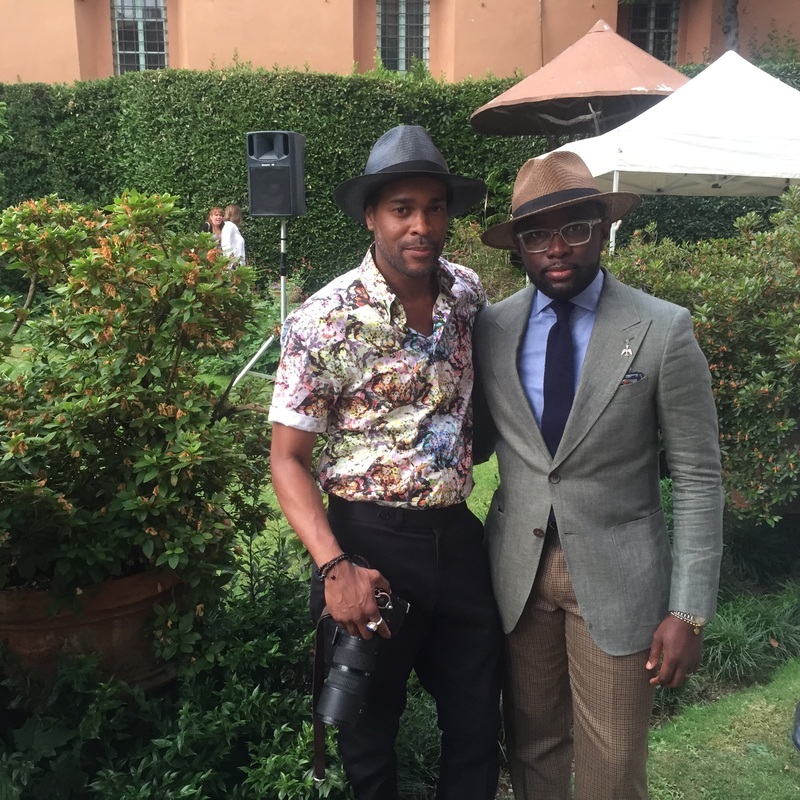 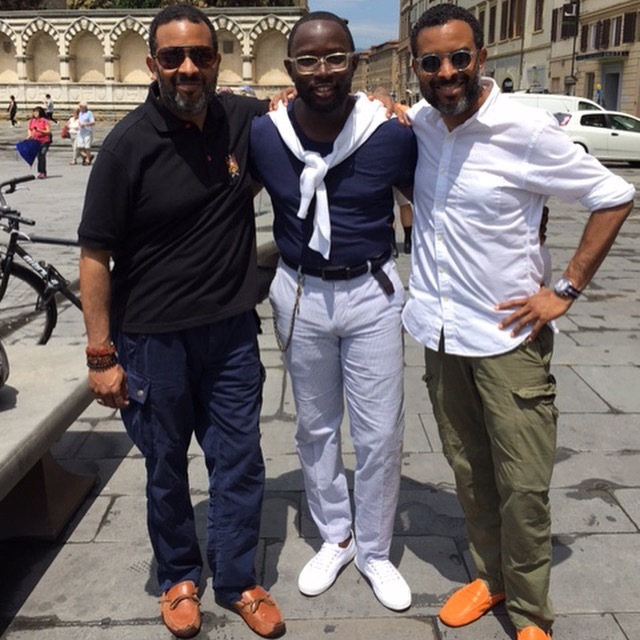 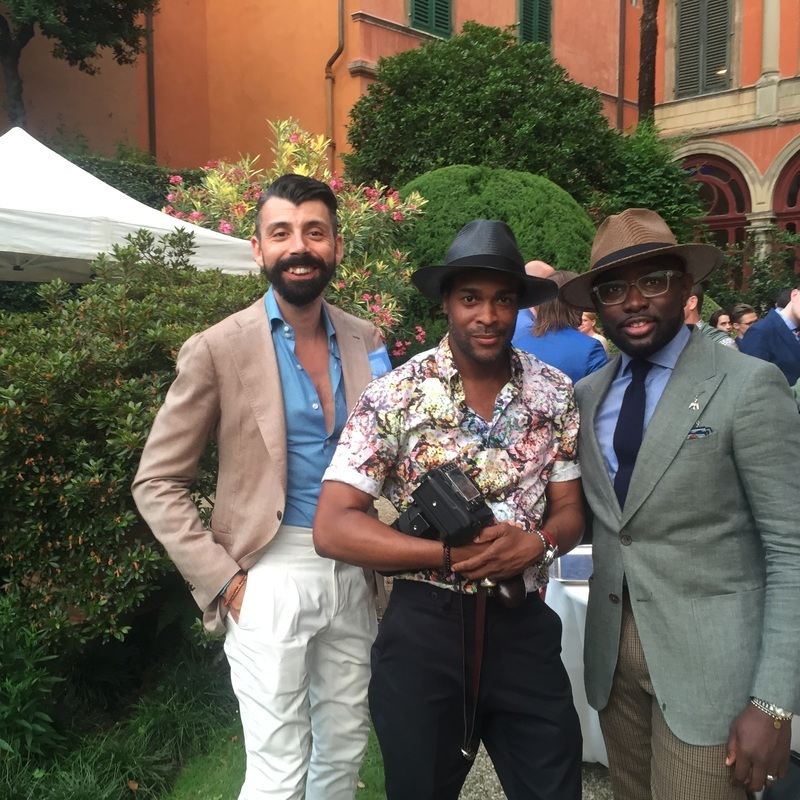 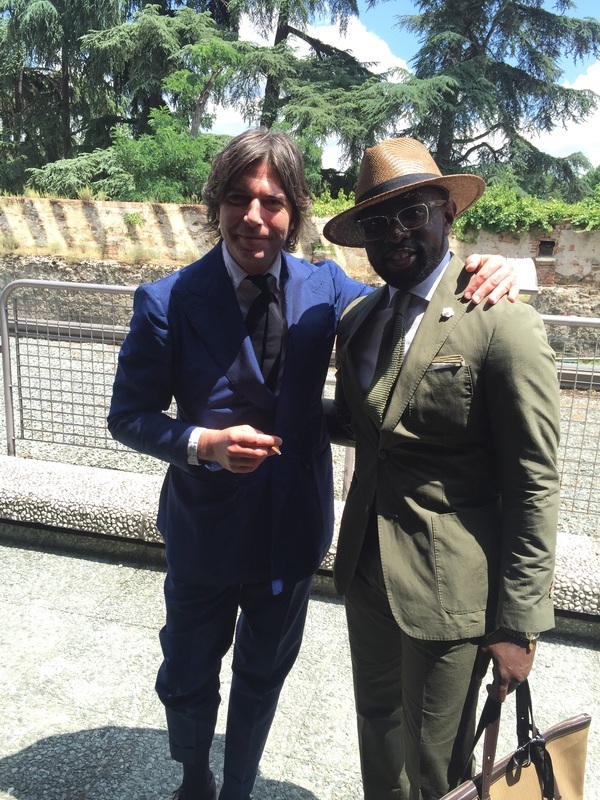 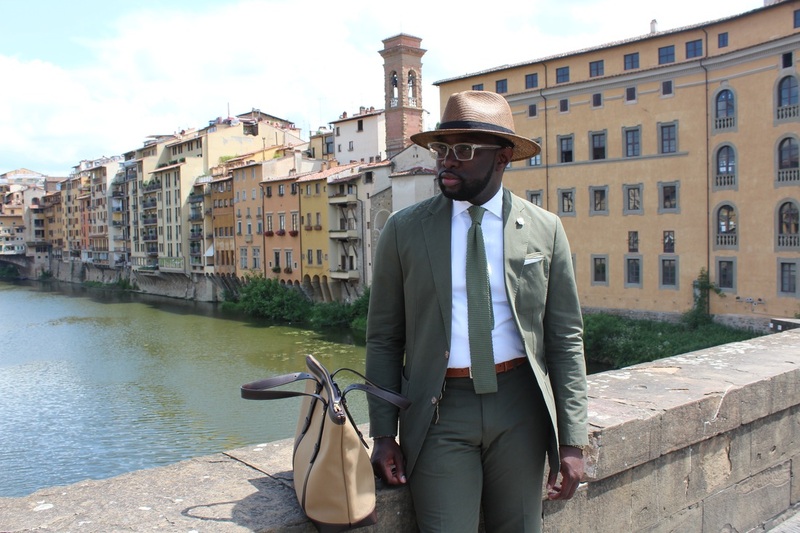 A Curated Man Goes To Florence. 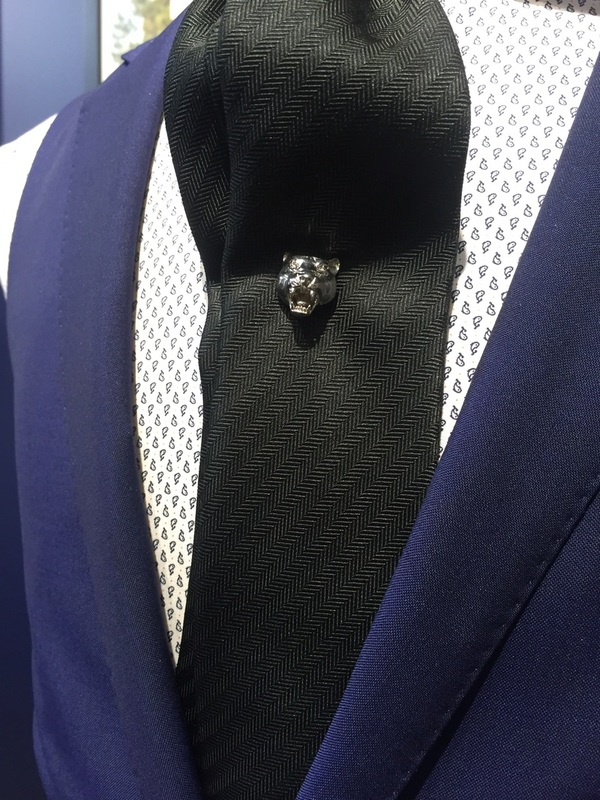 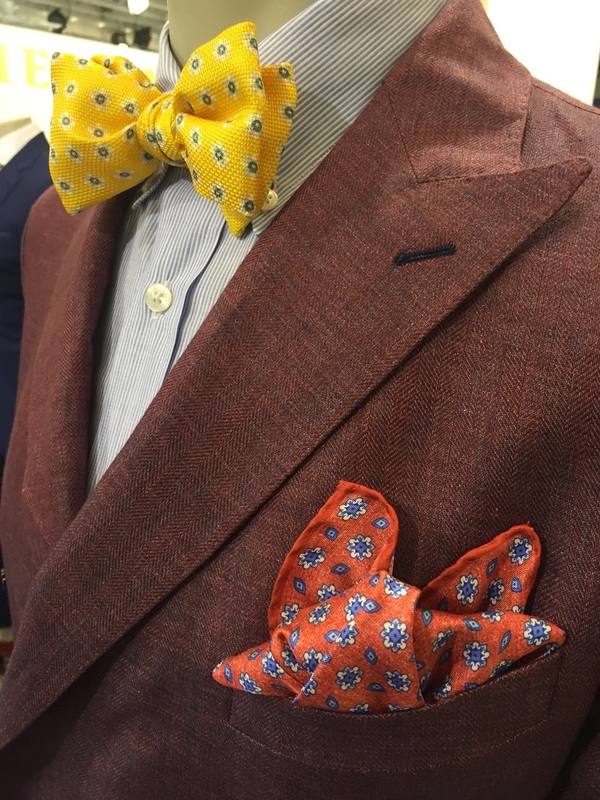 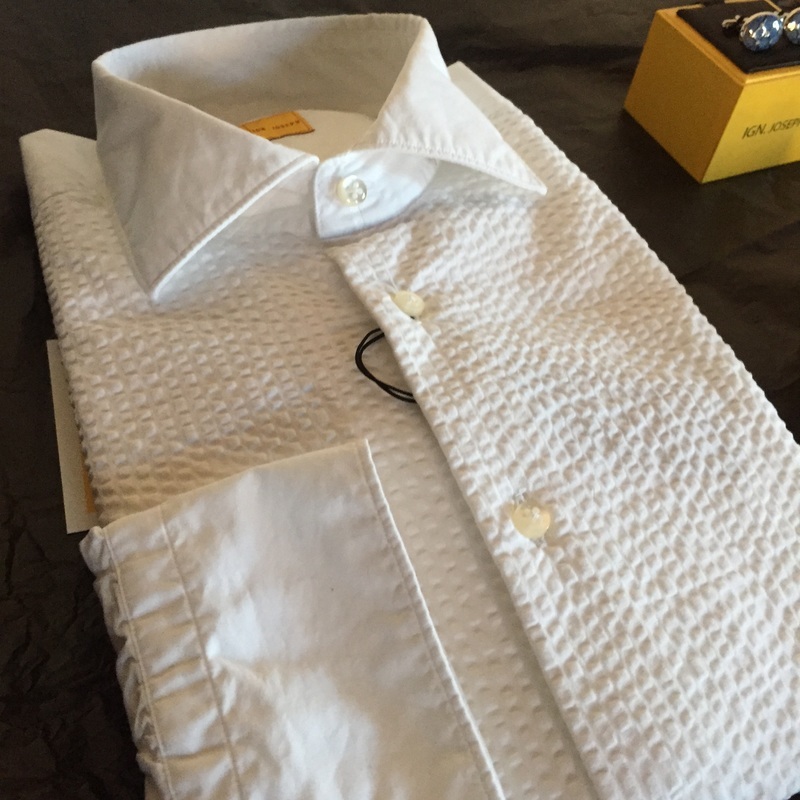 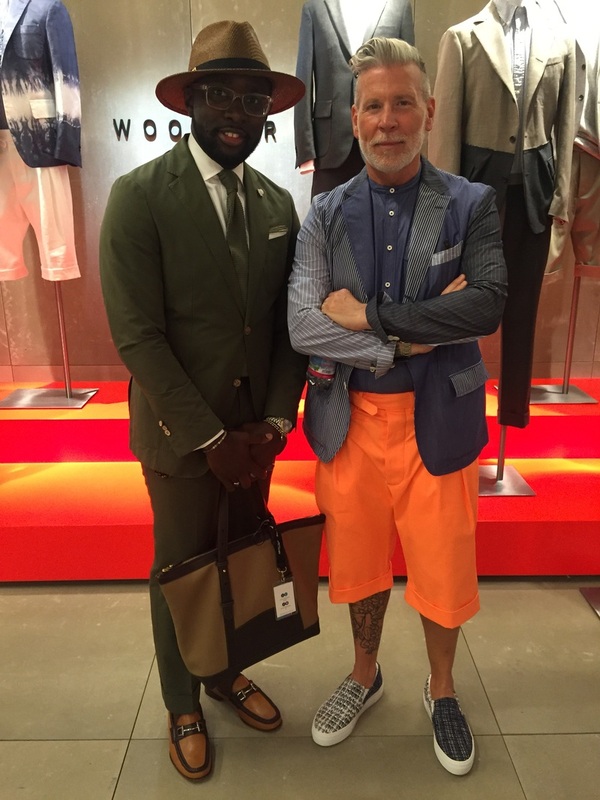 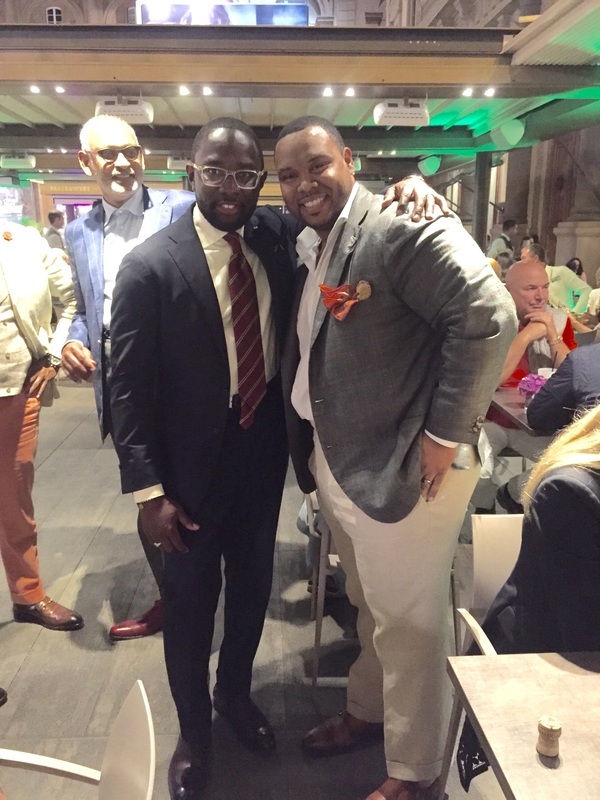 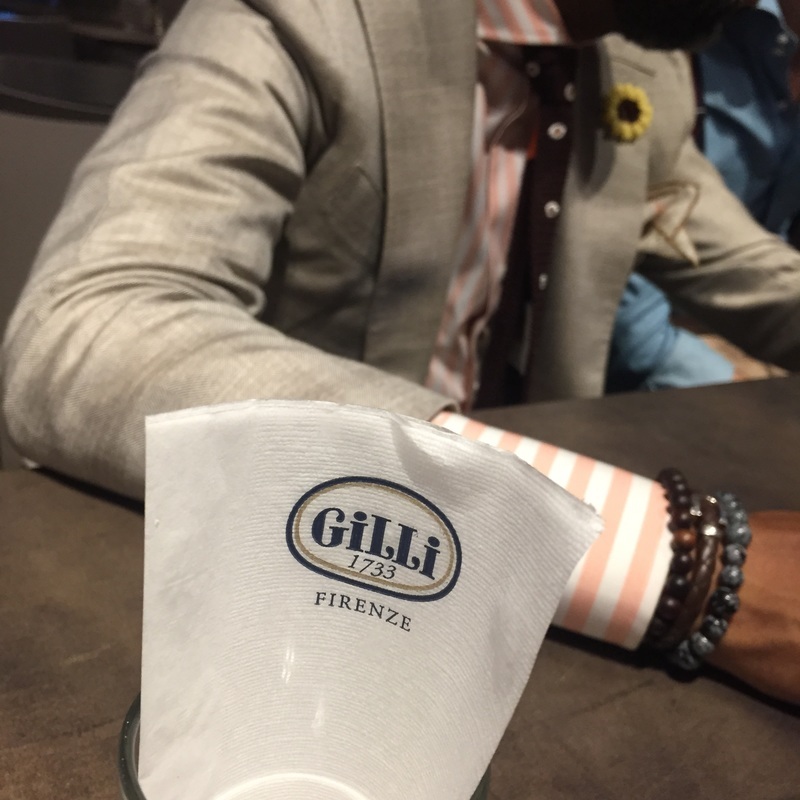 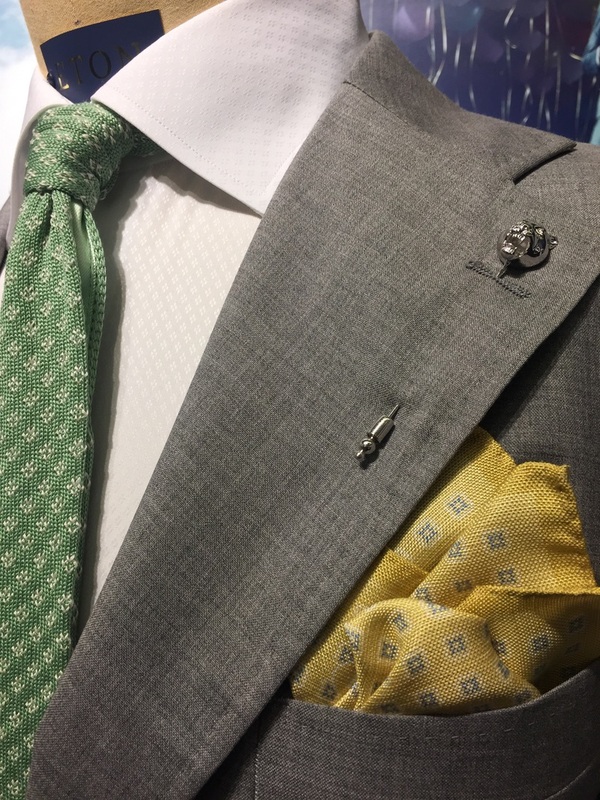 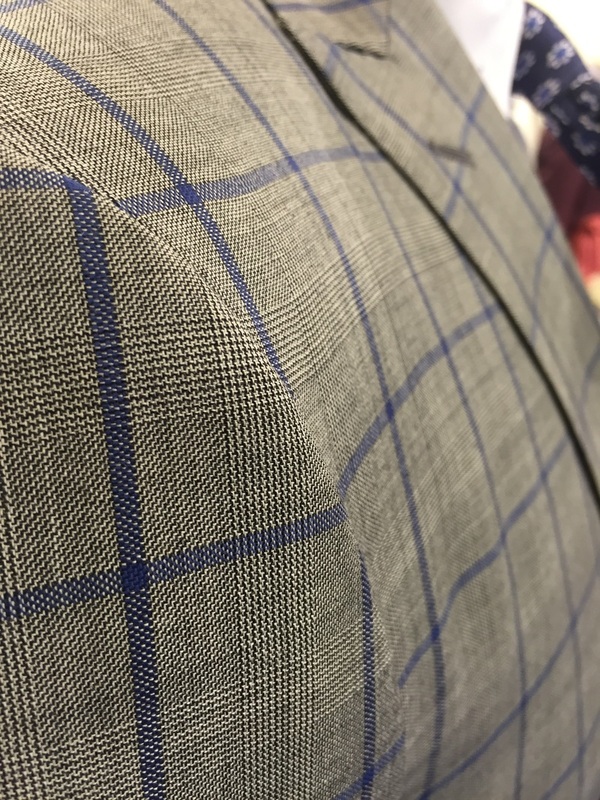 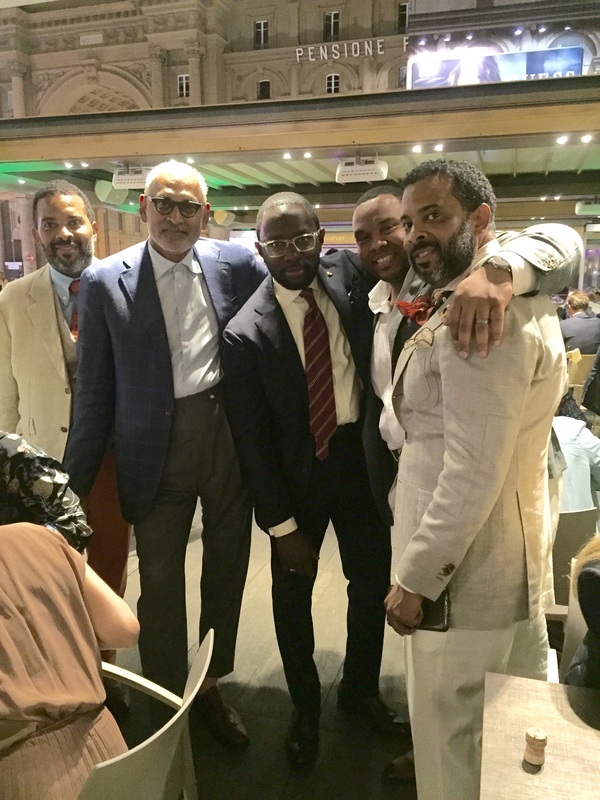 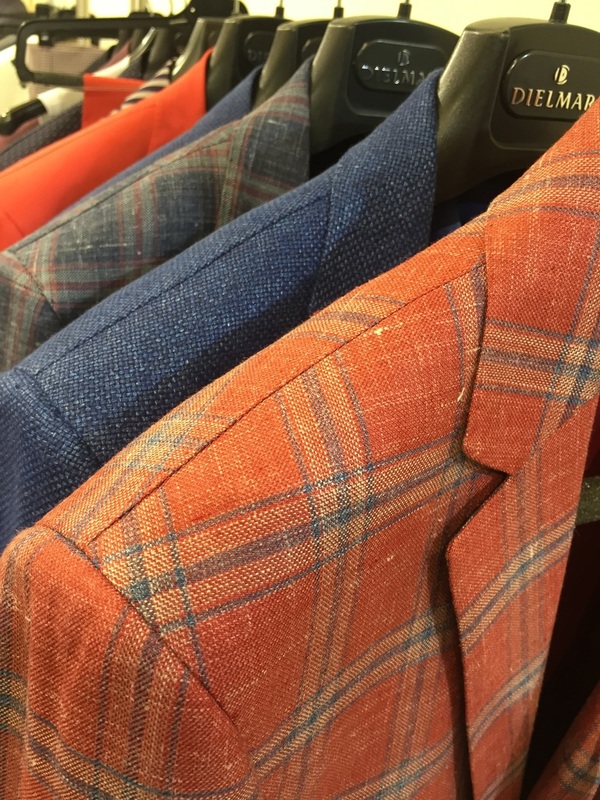 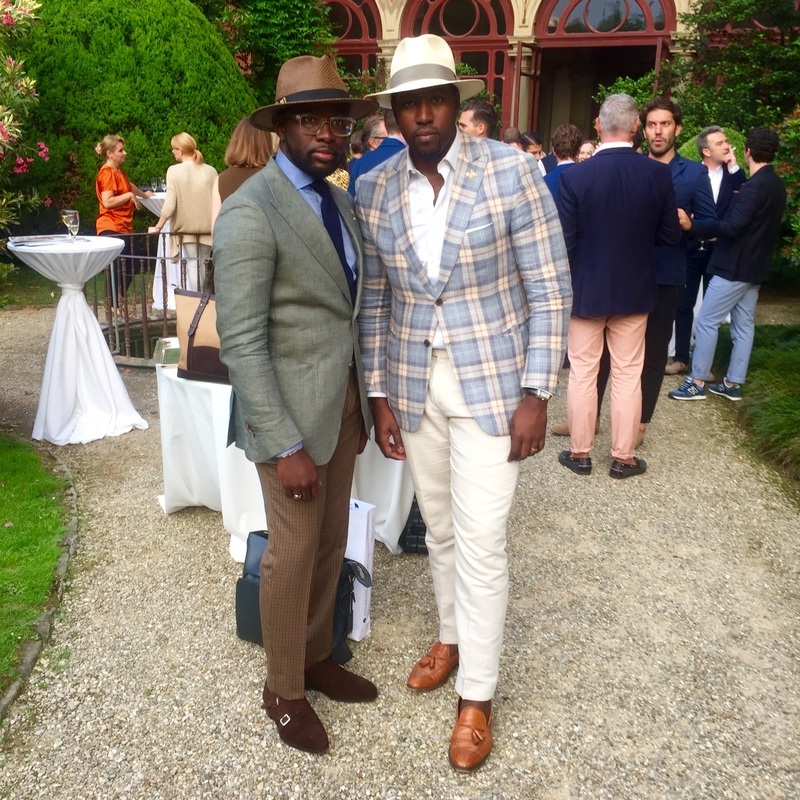 Since starting this blog a couple of years ago, I have been fortunate enough to initiate contact through social media with a number of men who share and live my passion for menswear. 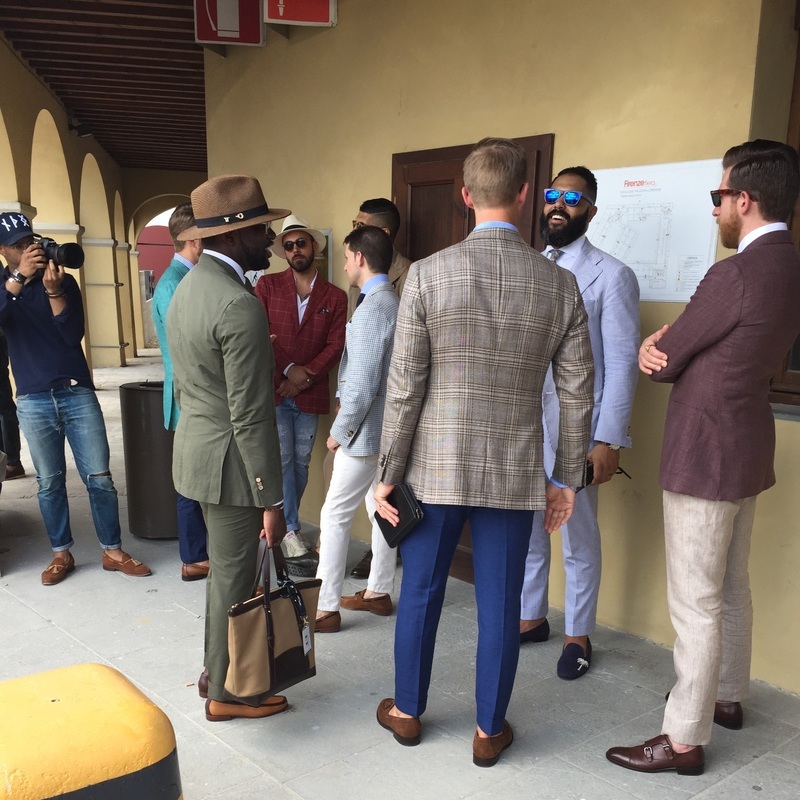 Living in the Midwest unfortunately has not been ideal for building relationships in the manner that I've observed the folks who live on the East Coast for example, have been able to. 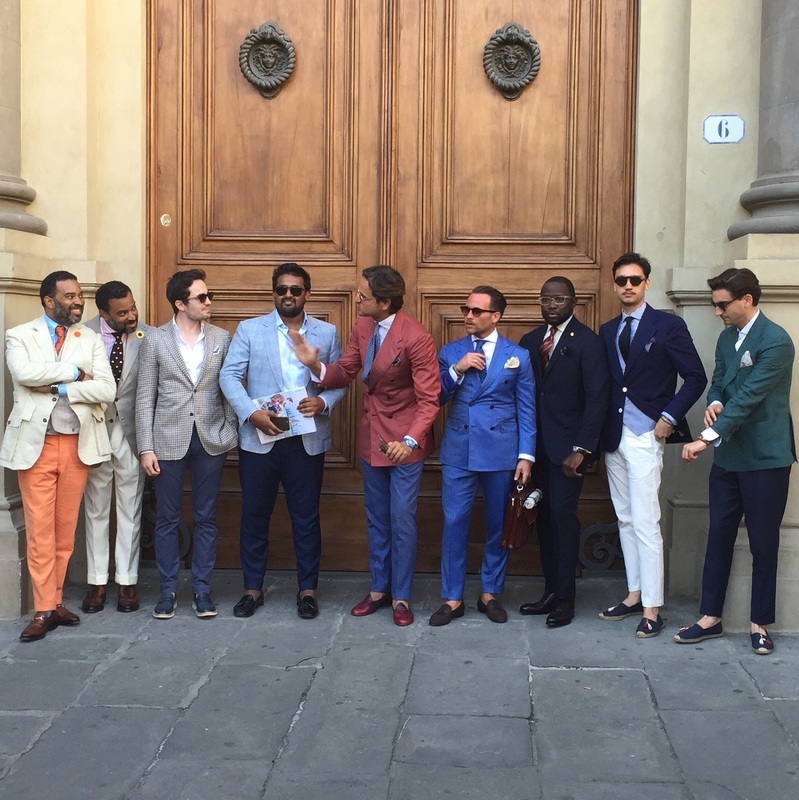 At least not without spending vast sums on traveling which my wife would definitely frown upon. 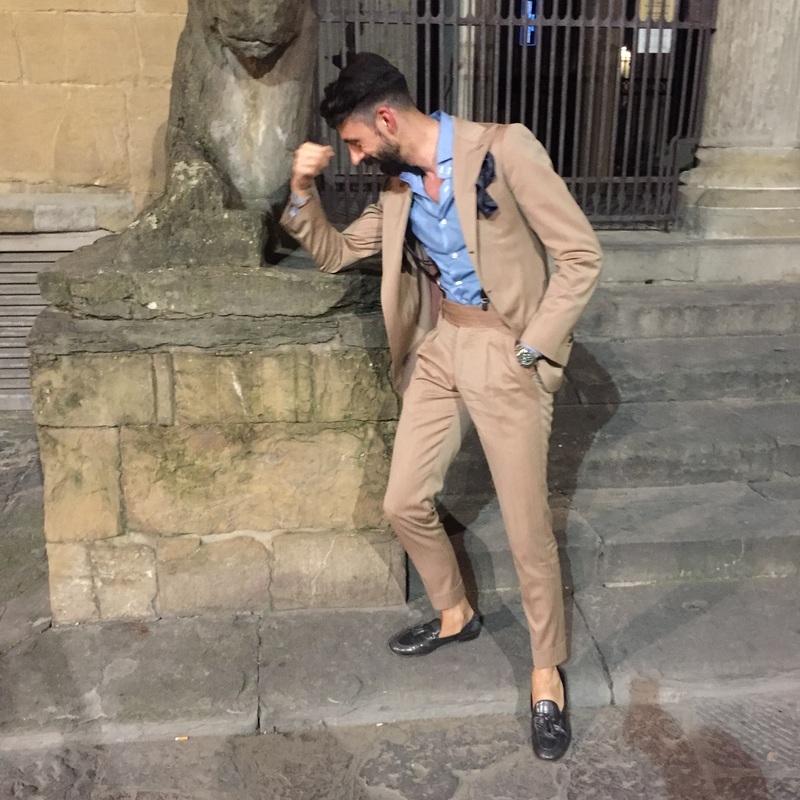 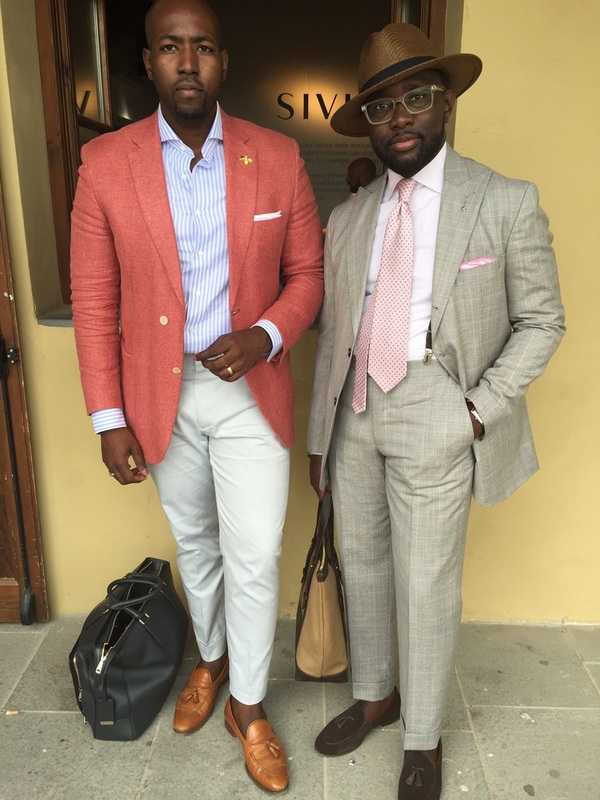 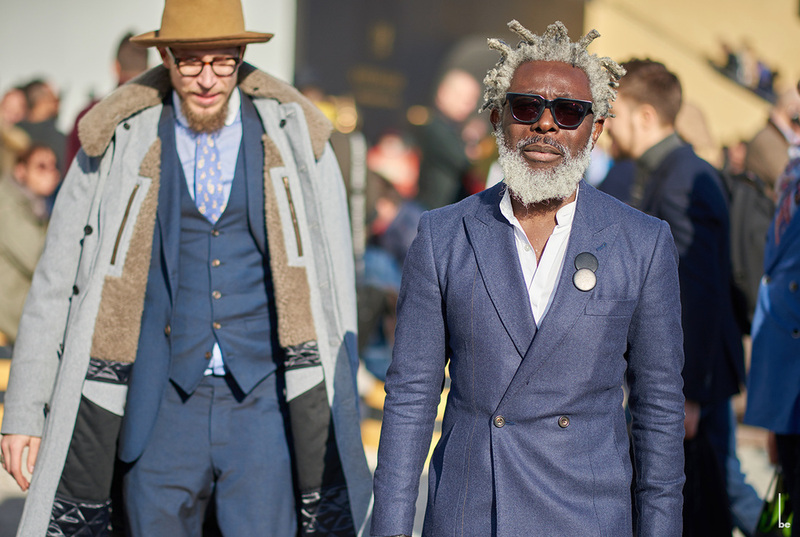 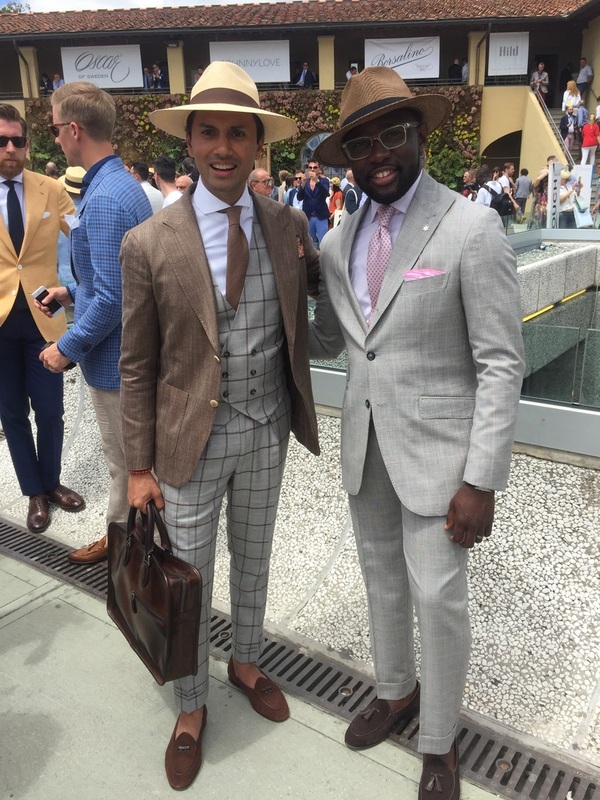 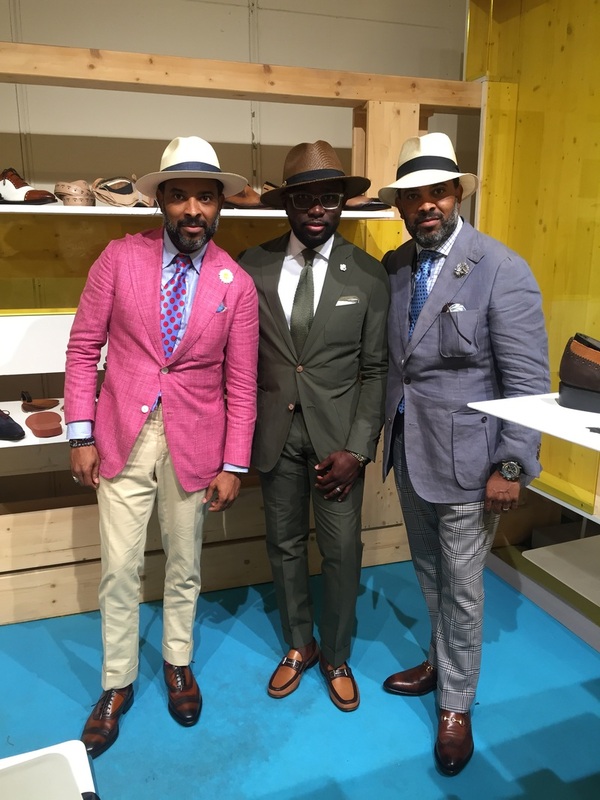 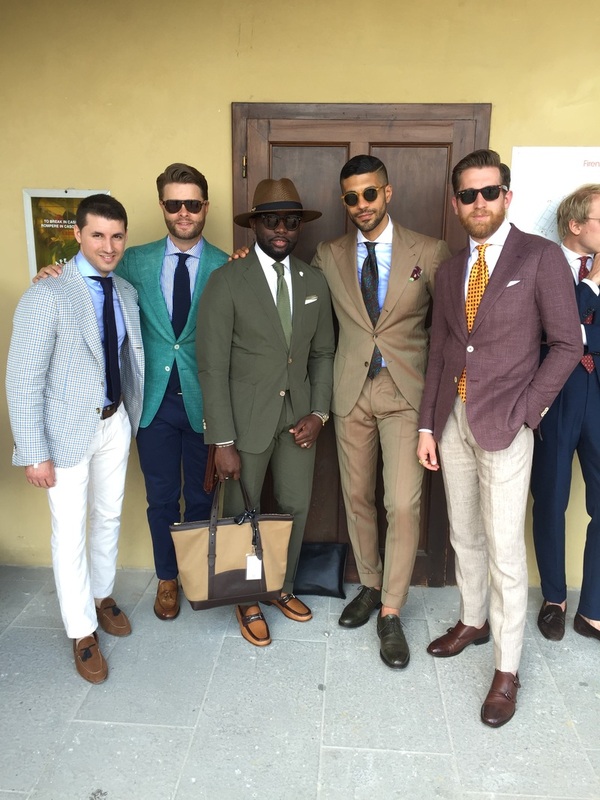 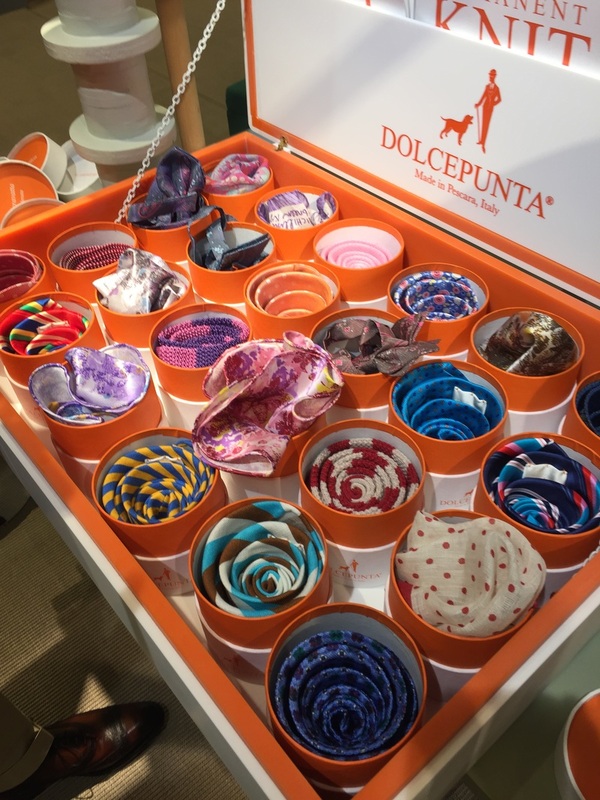 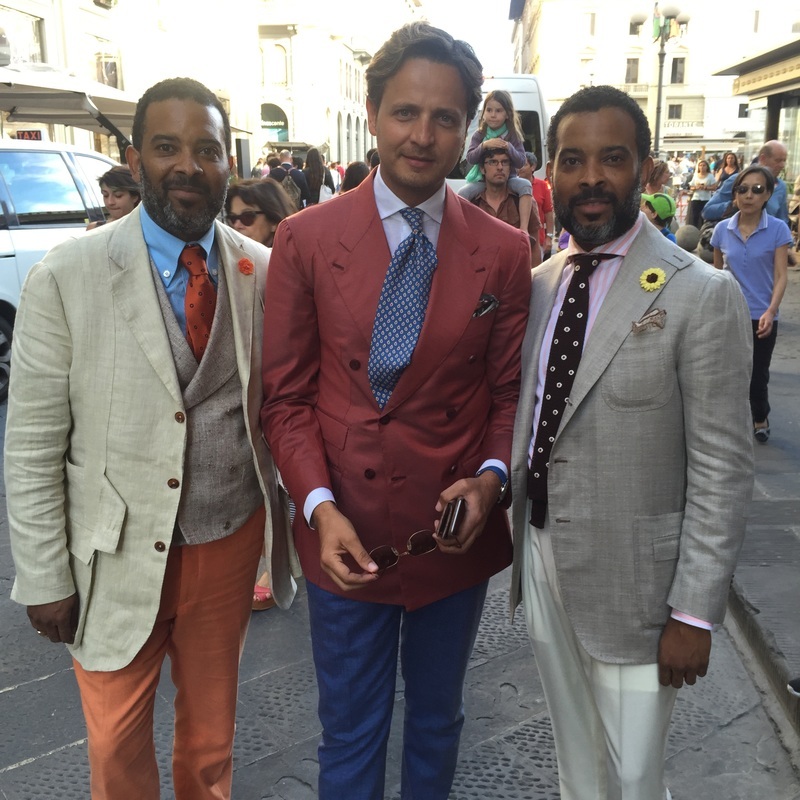 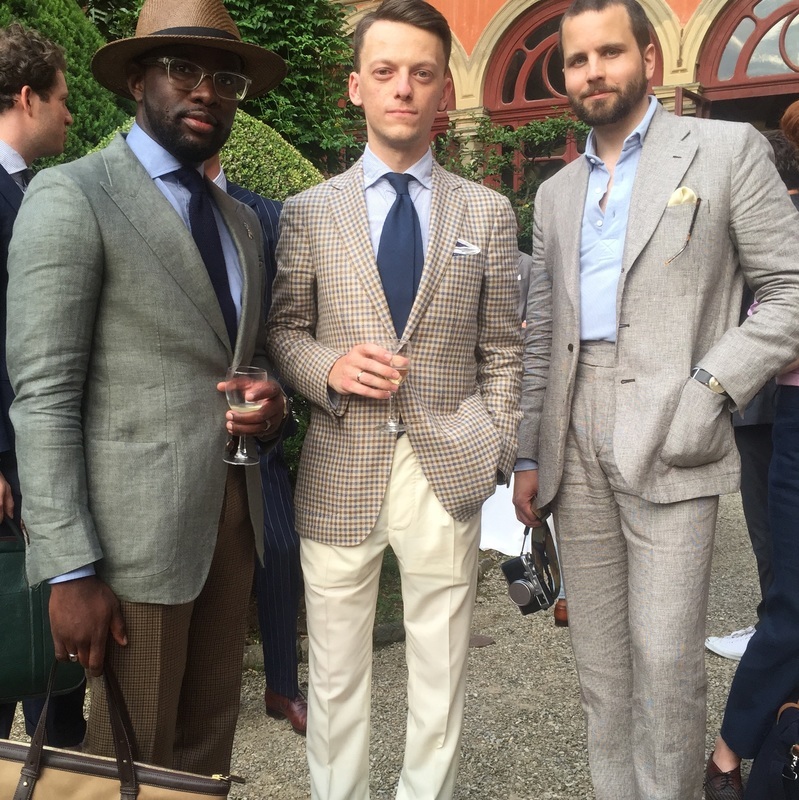 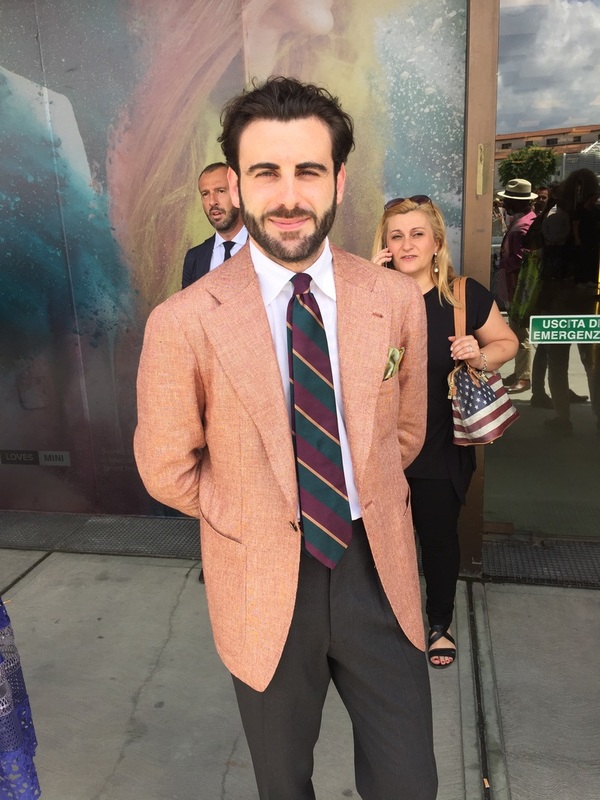 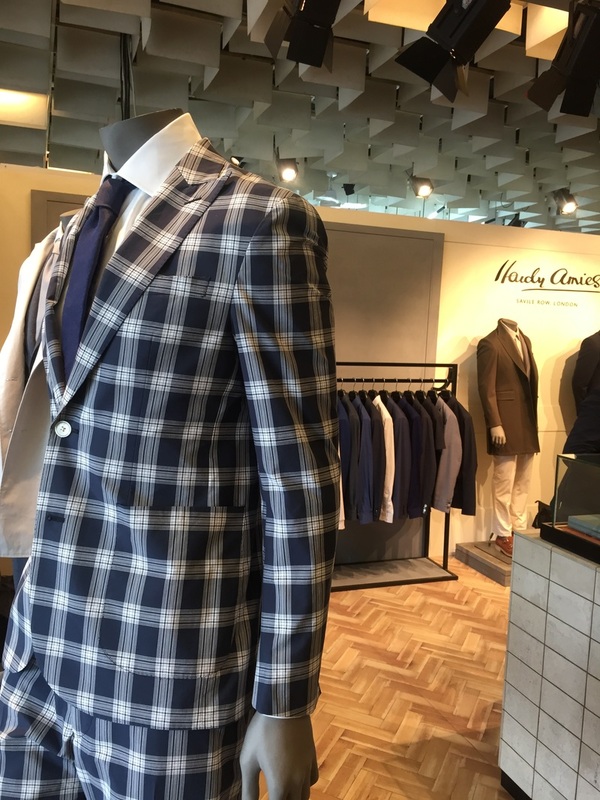 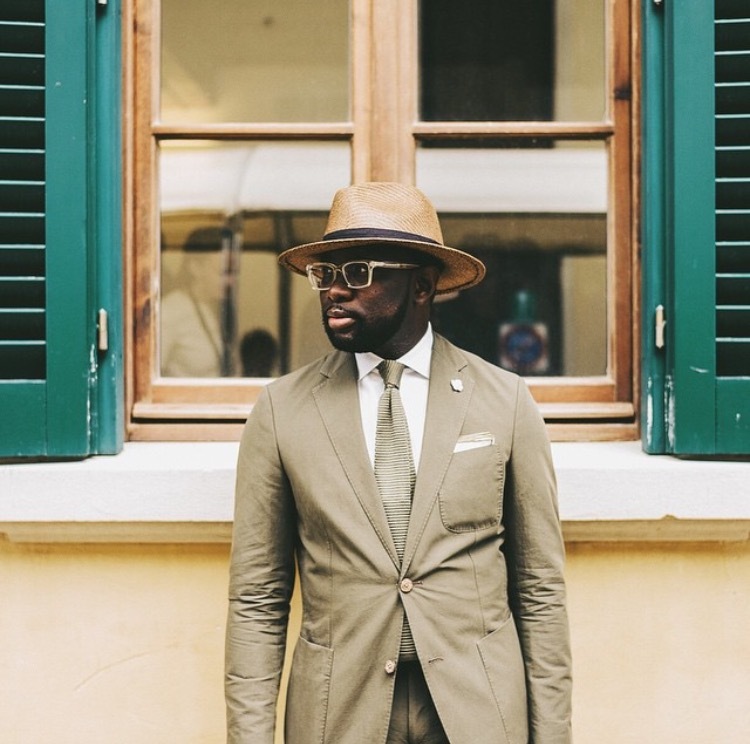 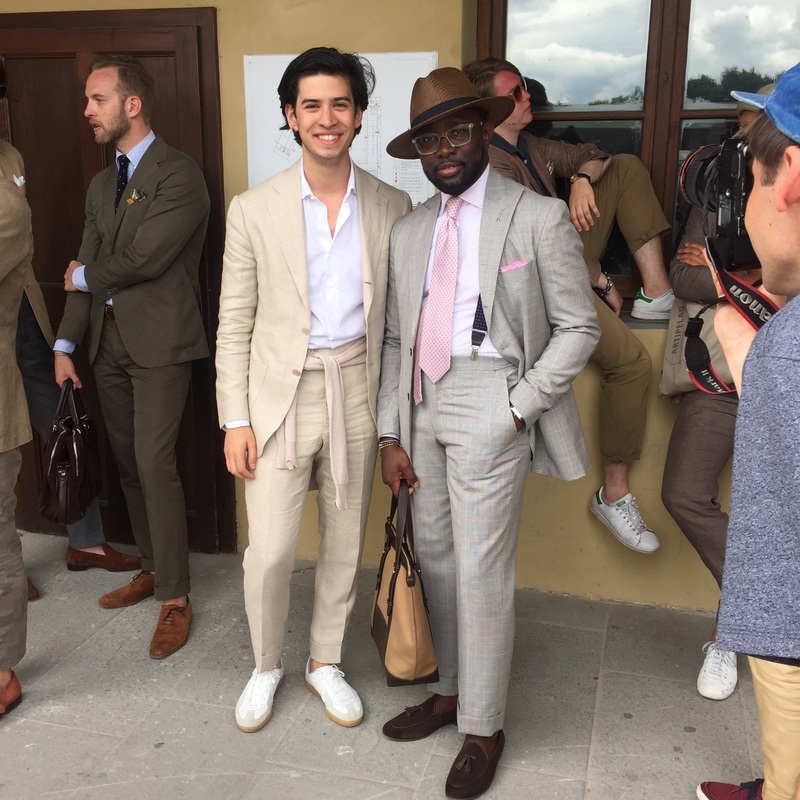 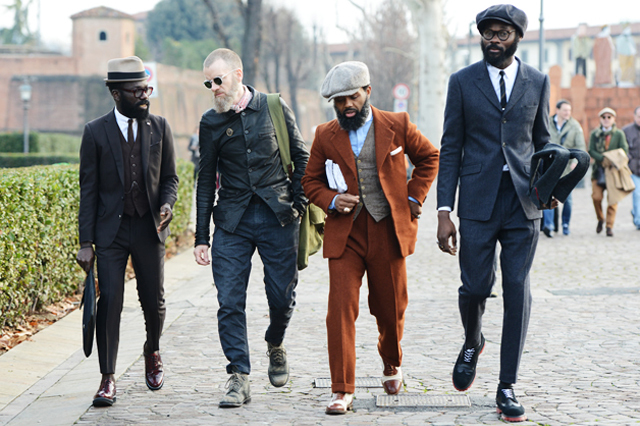 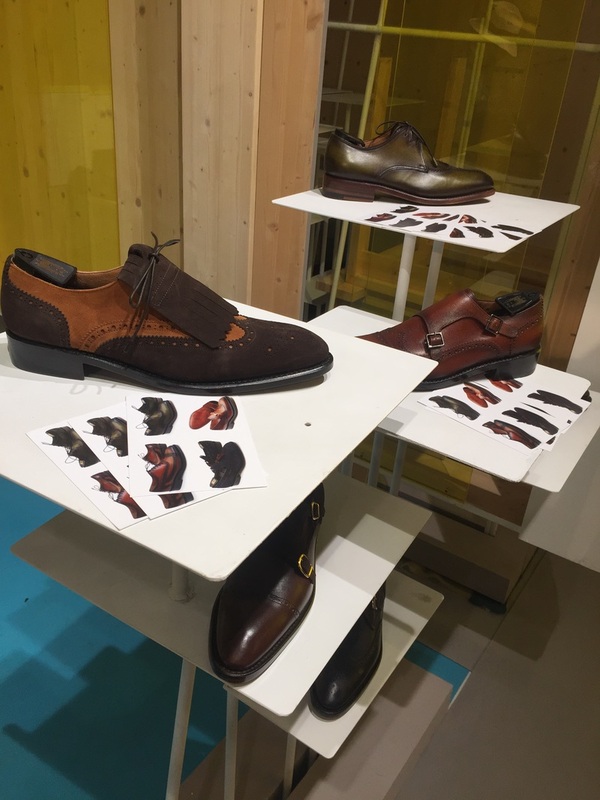 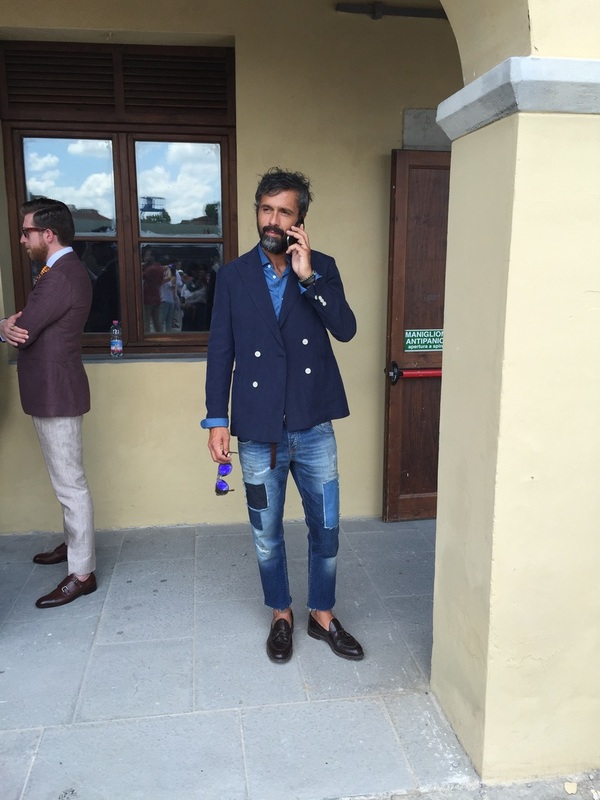 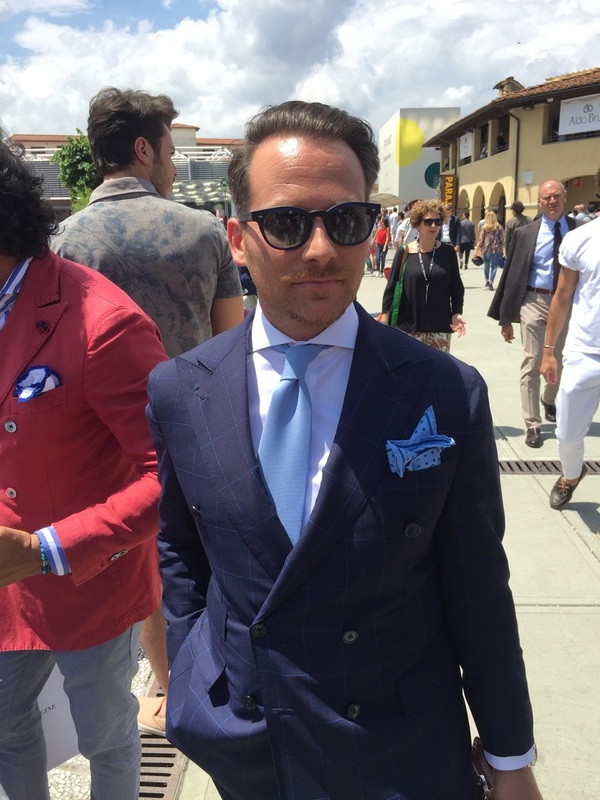 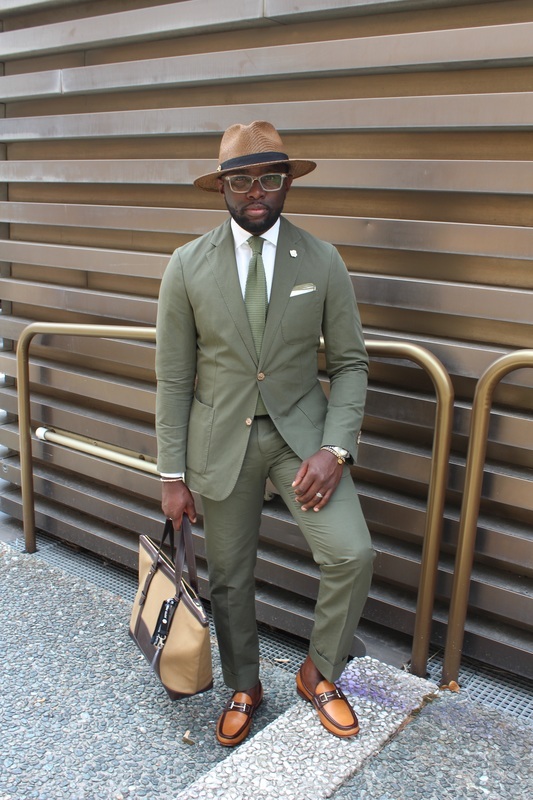 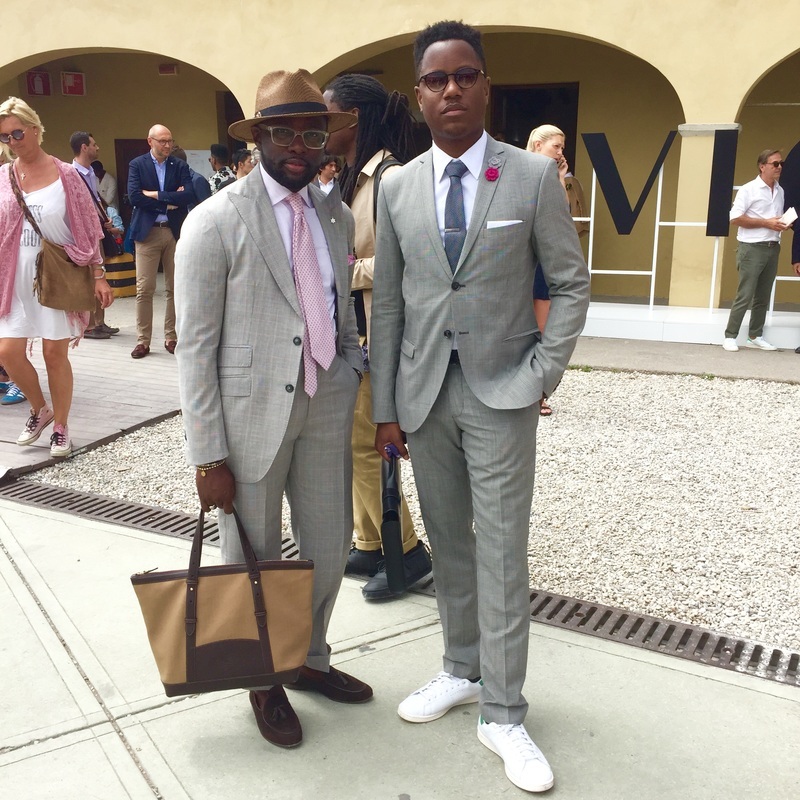 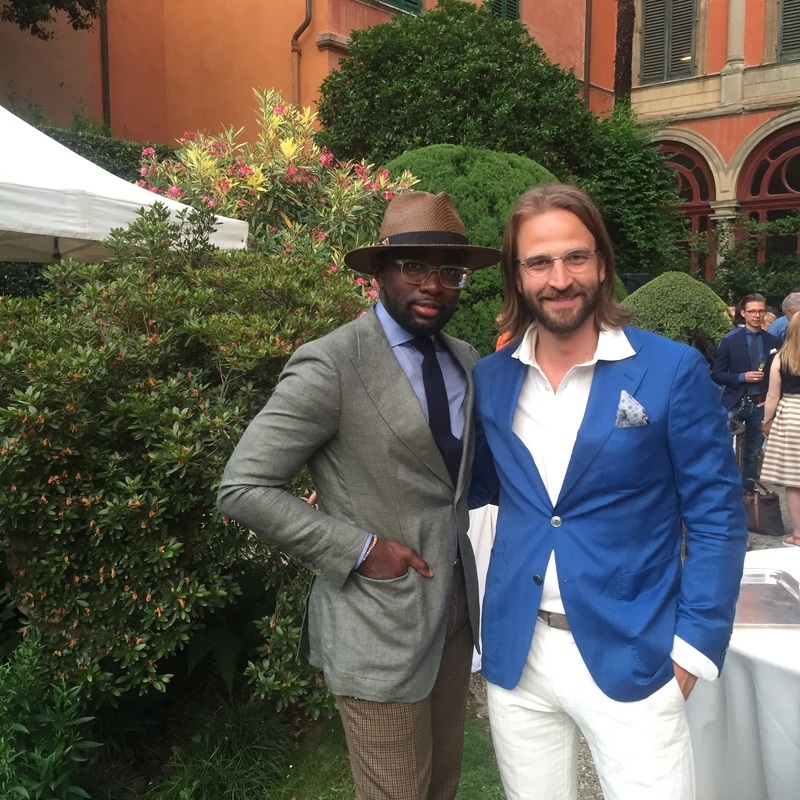 While I've looked forward to the great style photos that come from Pitti for the last couple of years, I hadn't given much thought to actually attending as I've always considered it to be solely for #menswear industry folks. 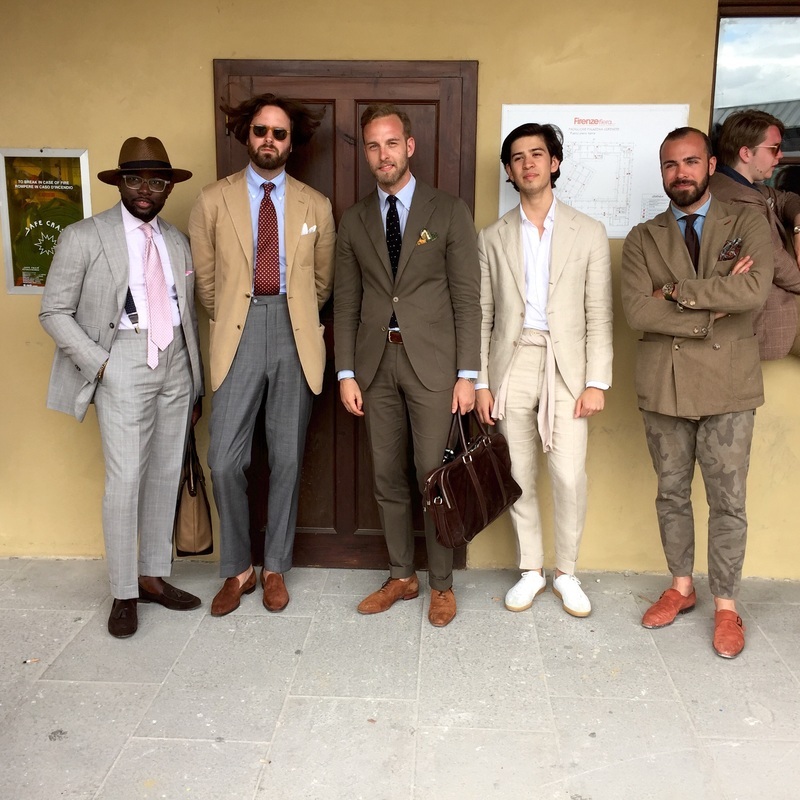 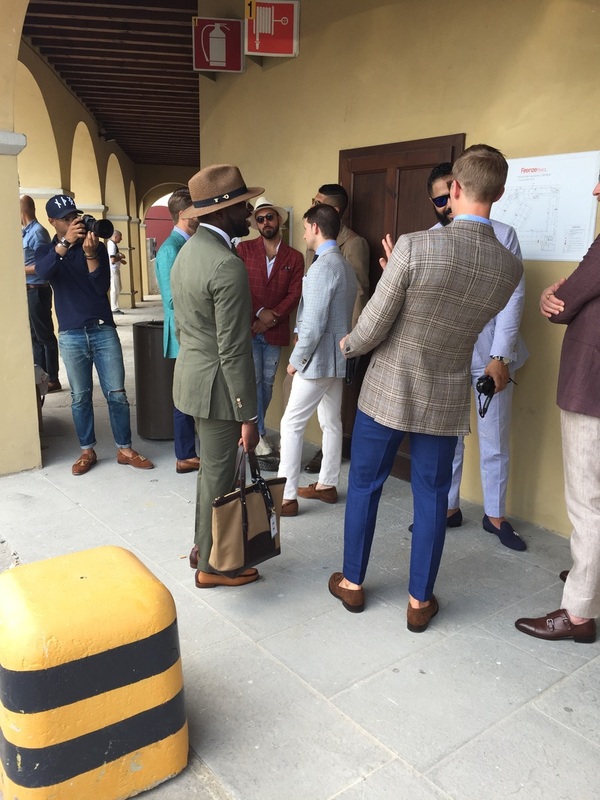 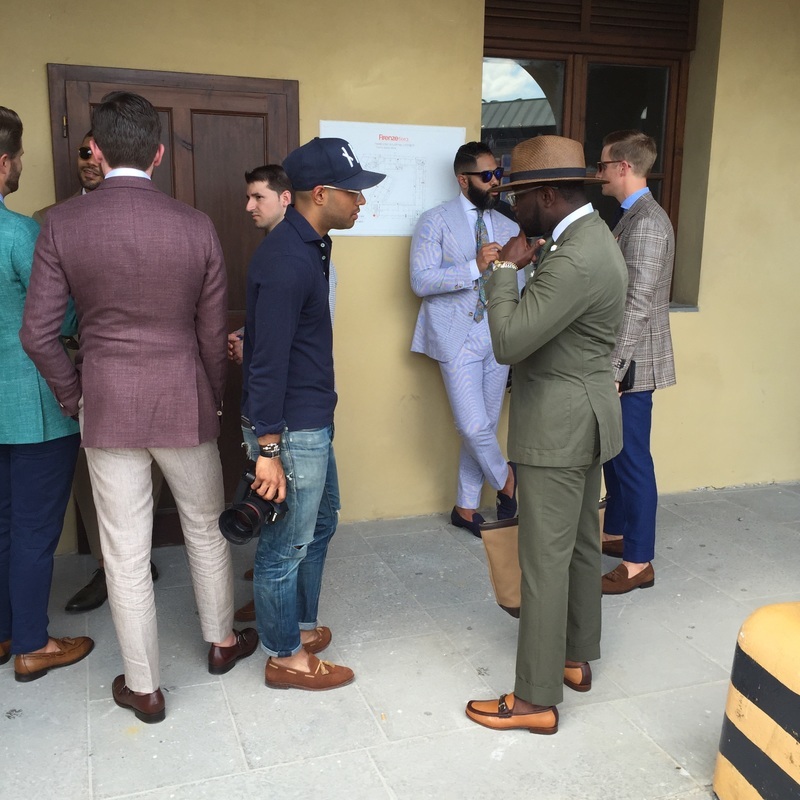 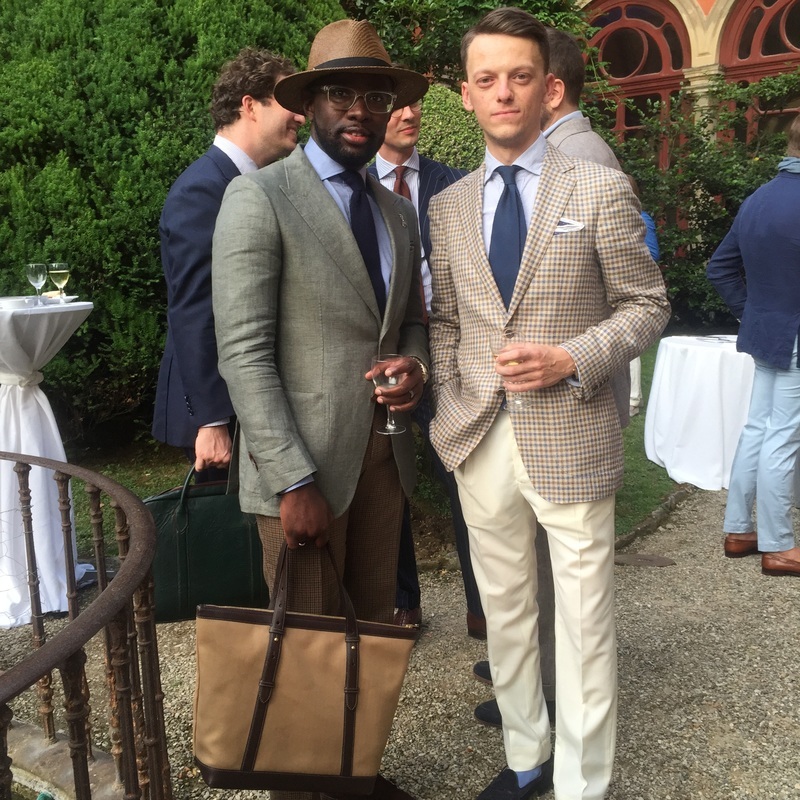 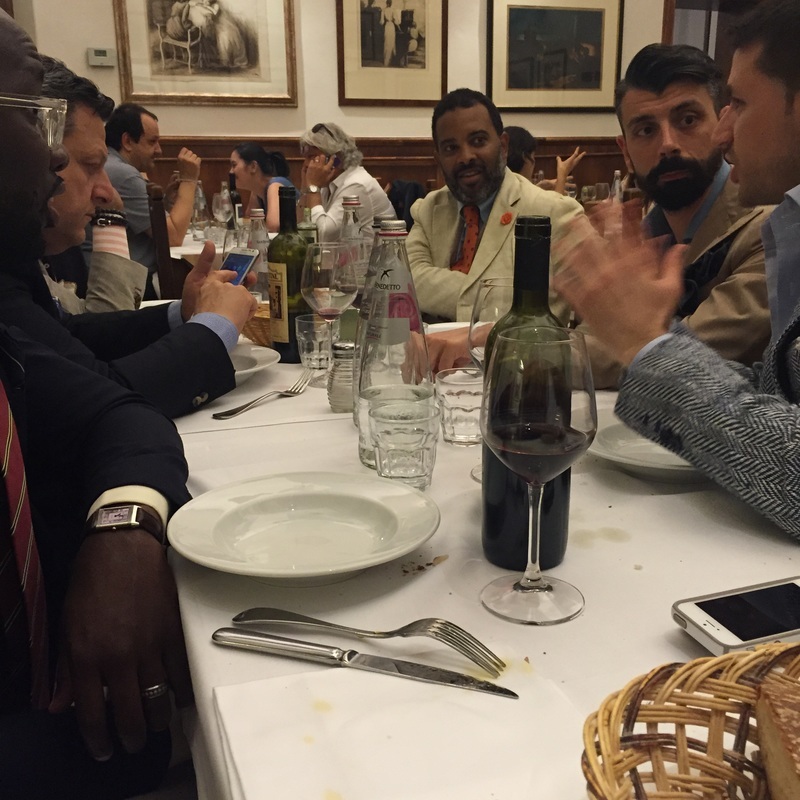 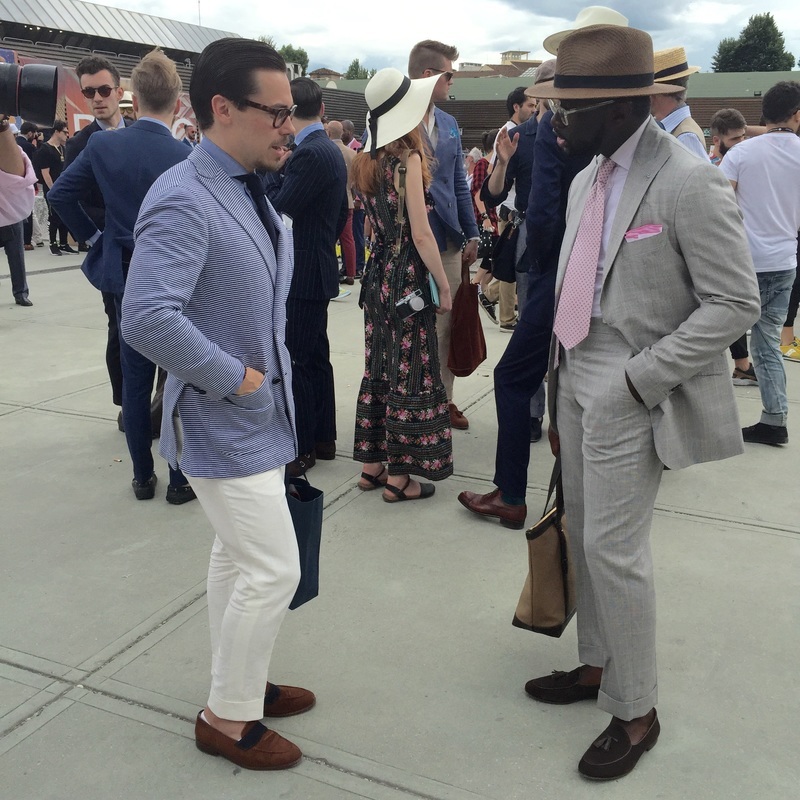 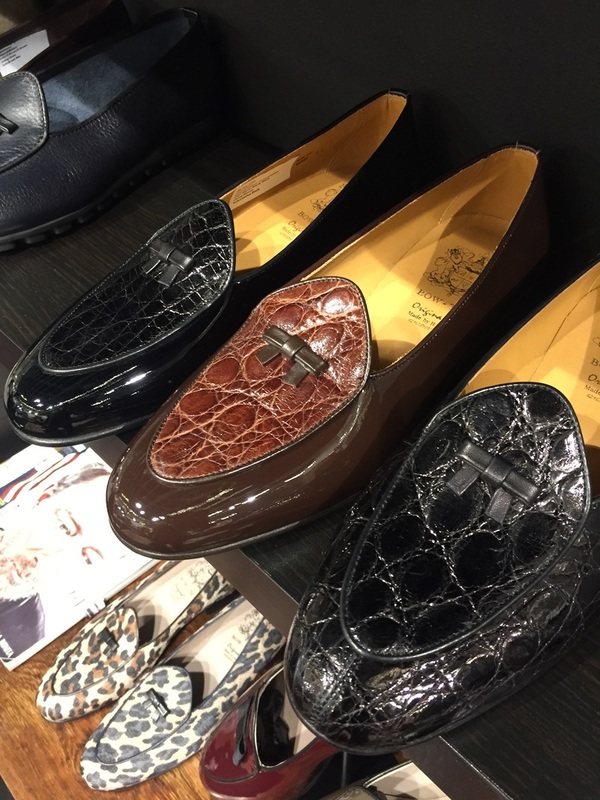 However at Pitti 87 earlier this year, I noticed a number of fellow bloggers and enthusiasts in attendance and it got me to thinking. 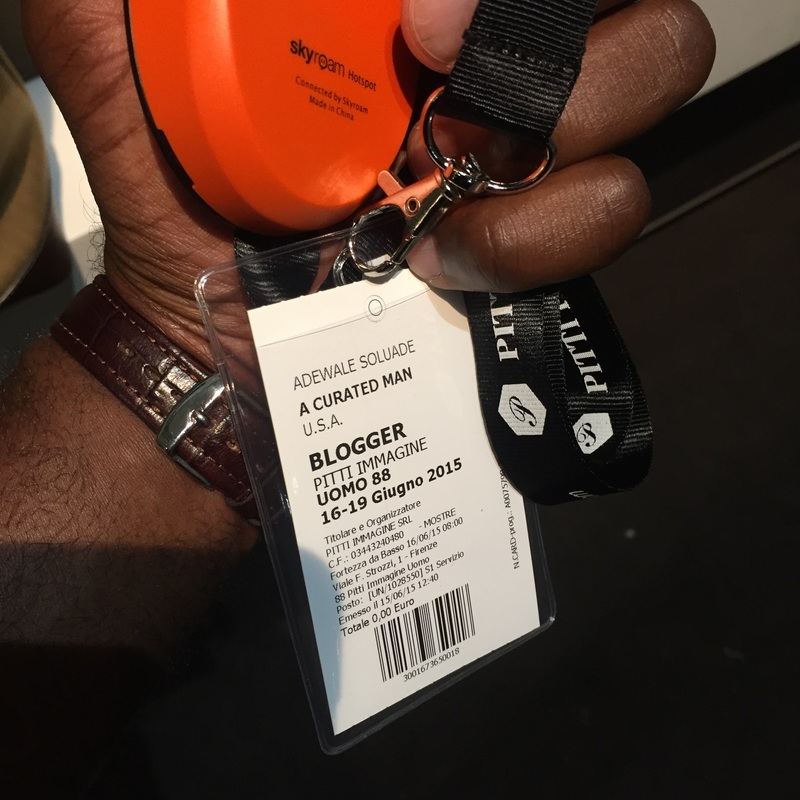 I looked up the dates and realized that they coincided with my wedding anniversary which meant I would most likely be ticking off the most important person in my life if I chose to go. 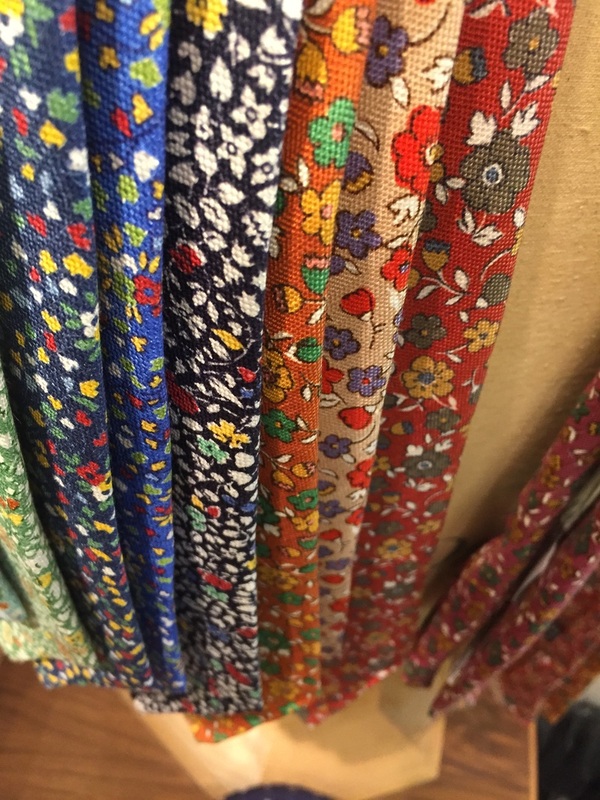 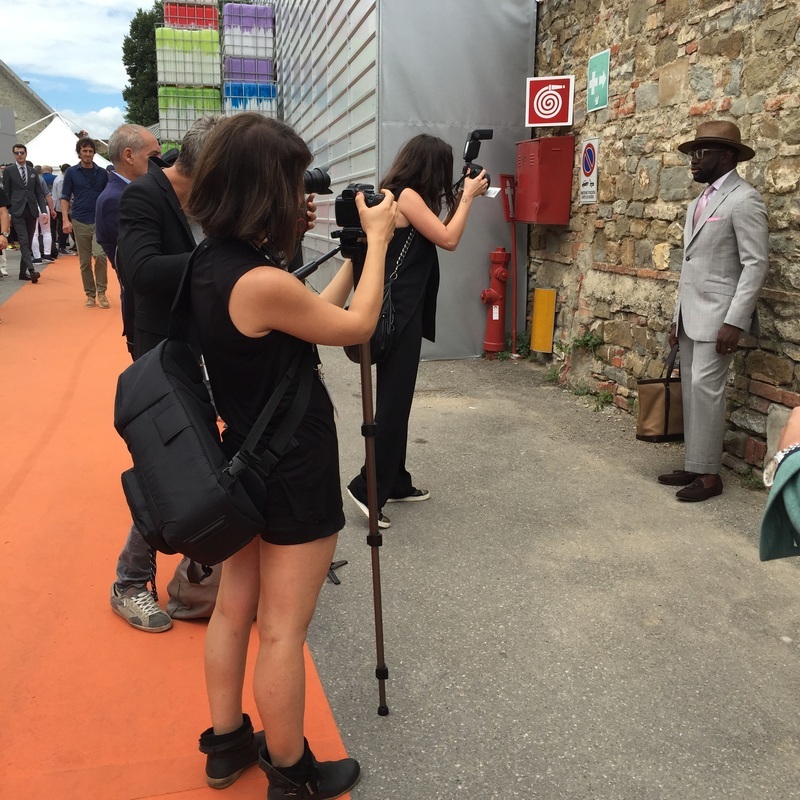 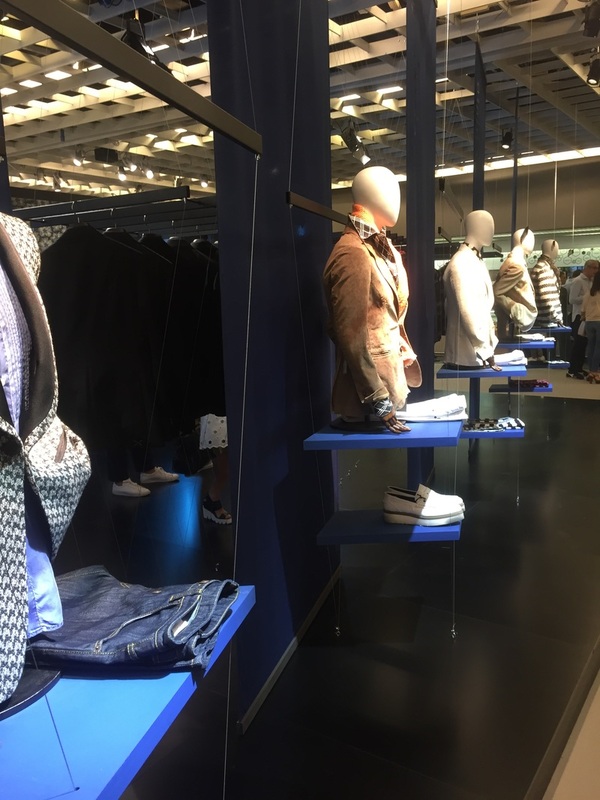 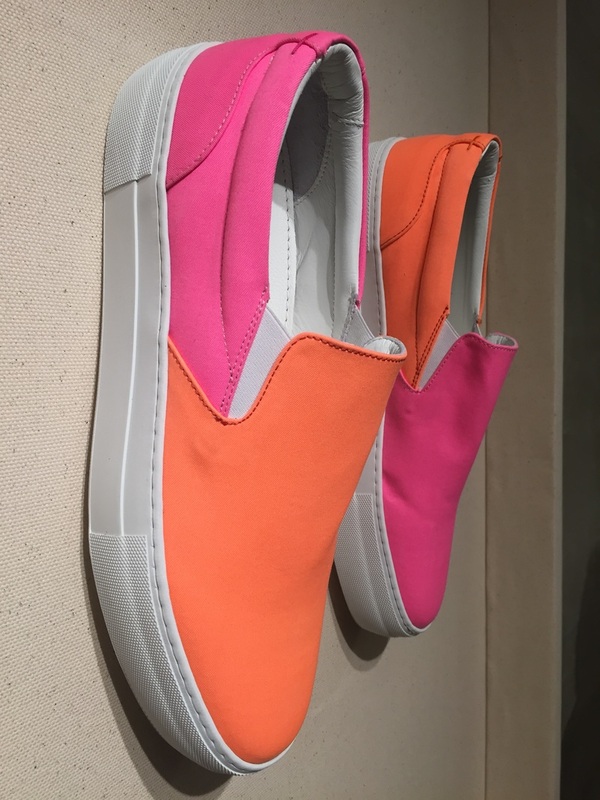 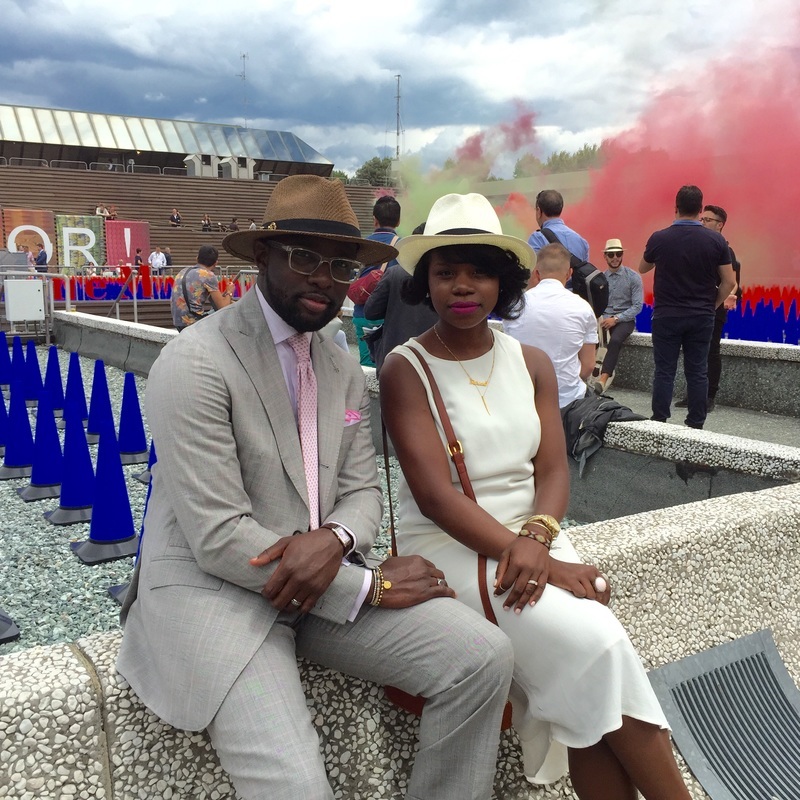 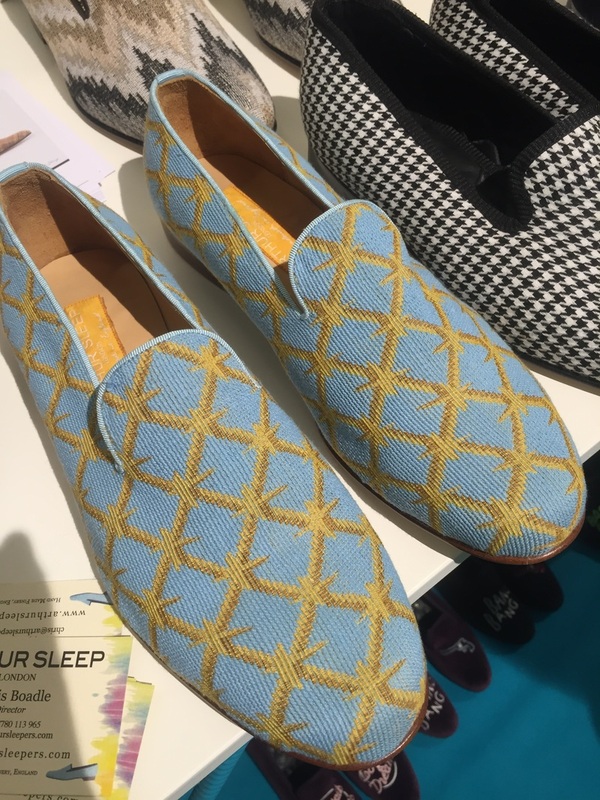 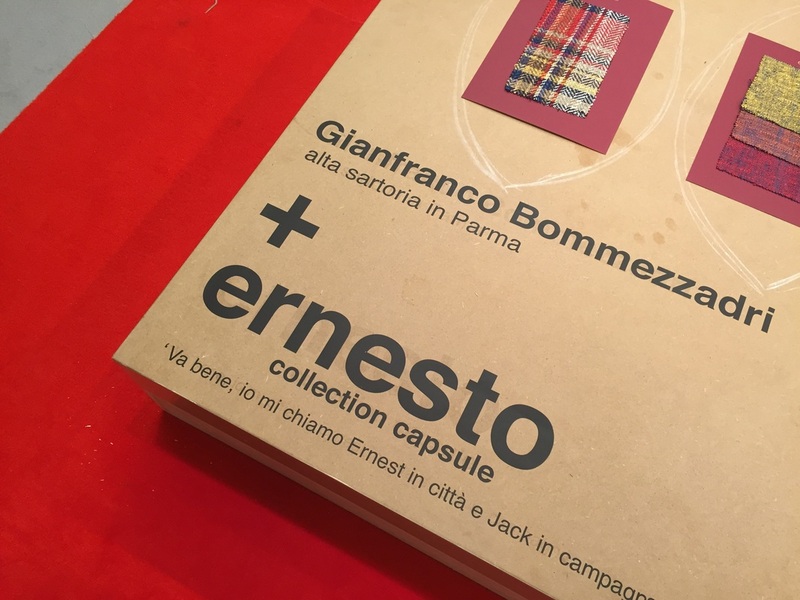 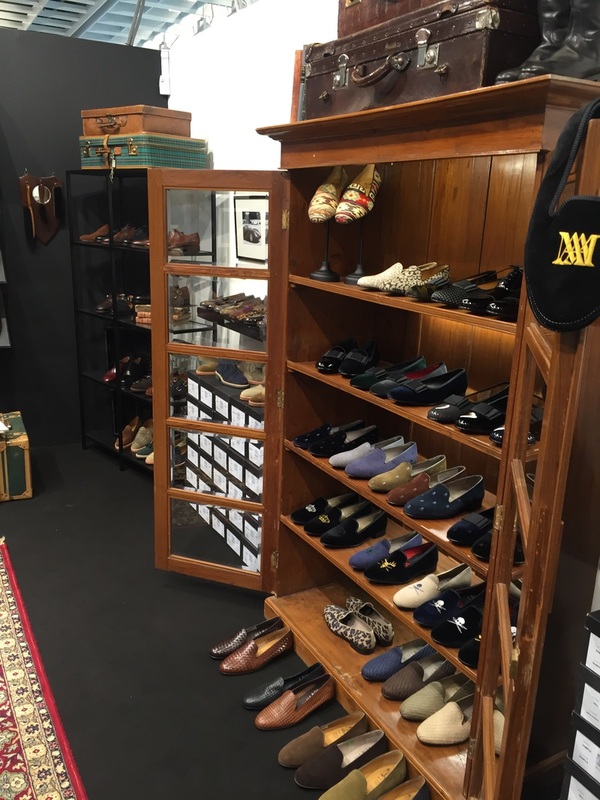 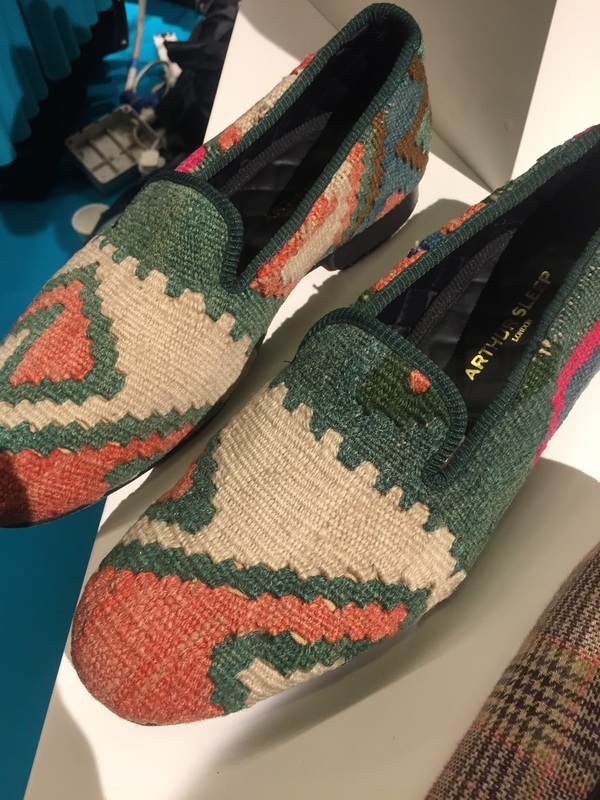 Personal note: my wife has been my biggest fan when it comes to the blog and the minute I brought up going to Pitti 88, was quite enthusiastic about it. 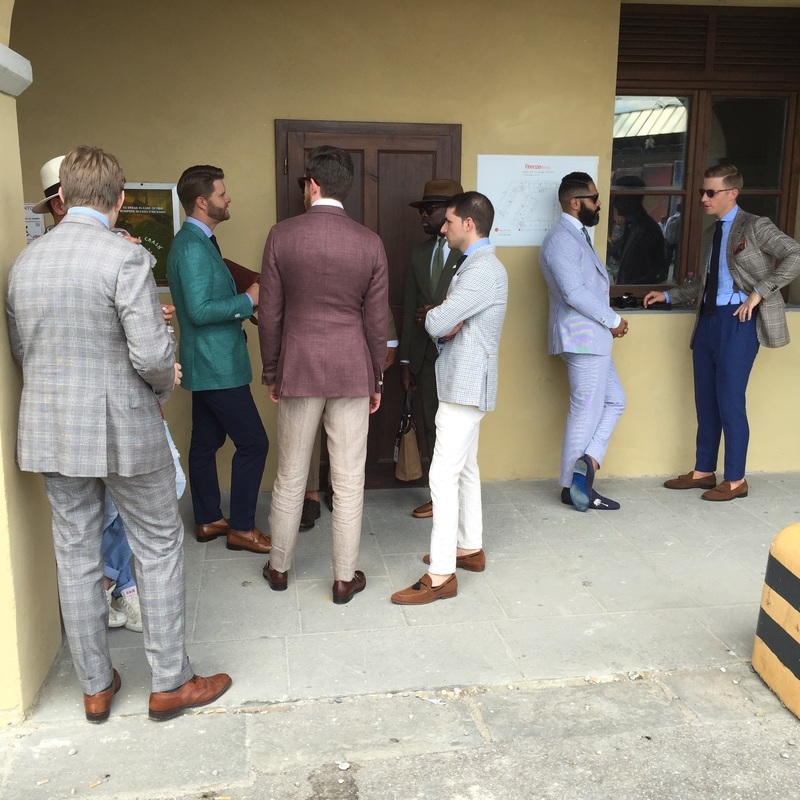 In a stroke of husbandly genius I thought, "Why not kill two birds with one stone? 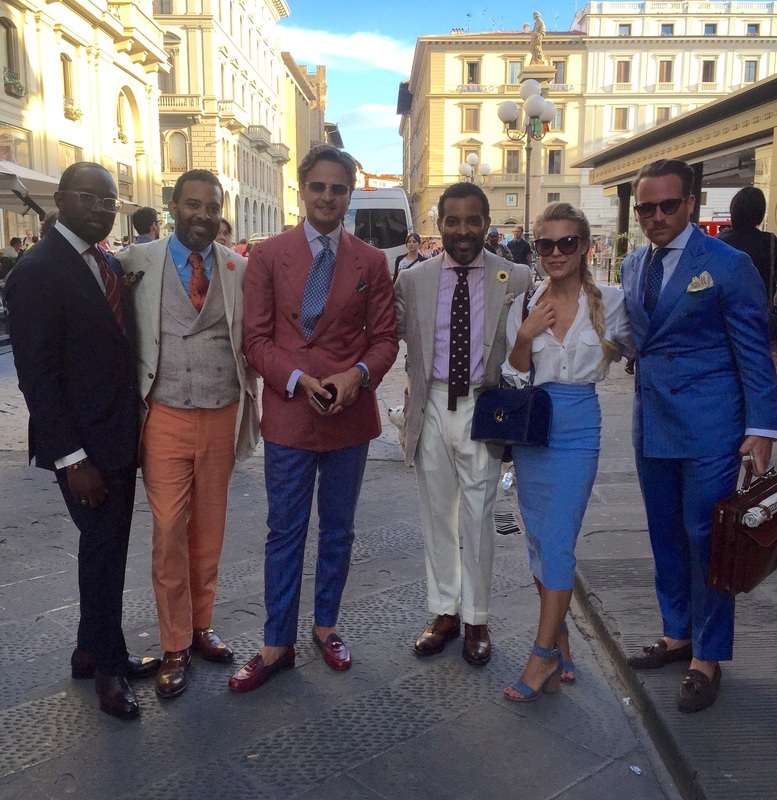 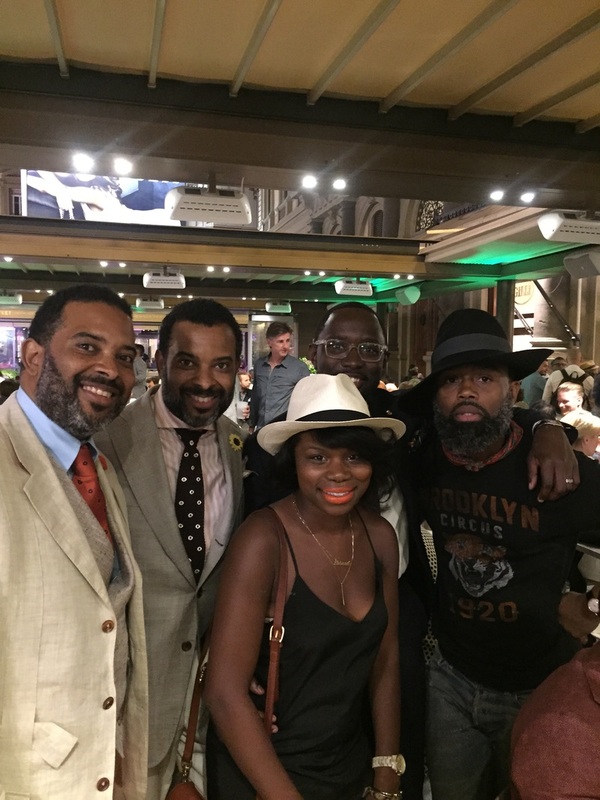 Take my wife to a beautiful city on our anniversary and get to meet some great people?" 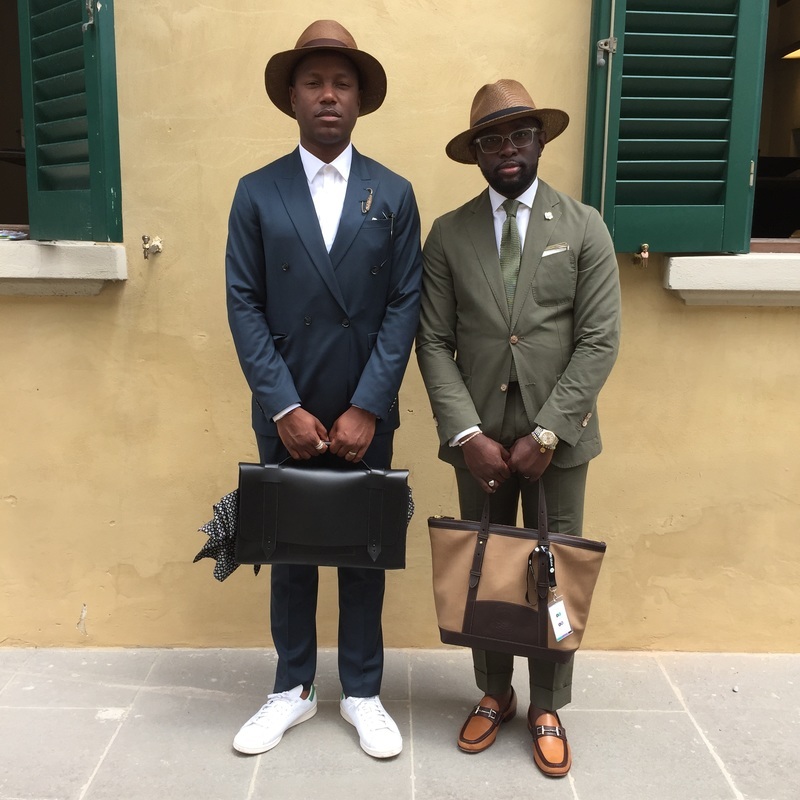 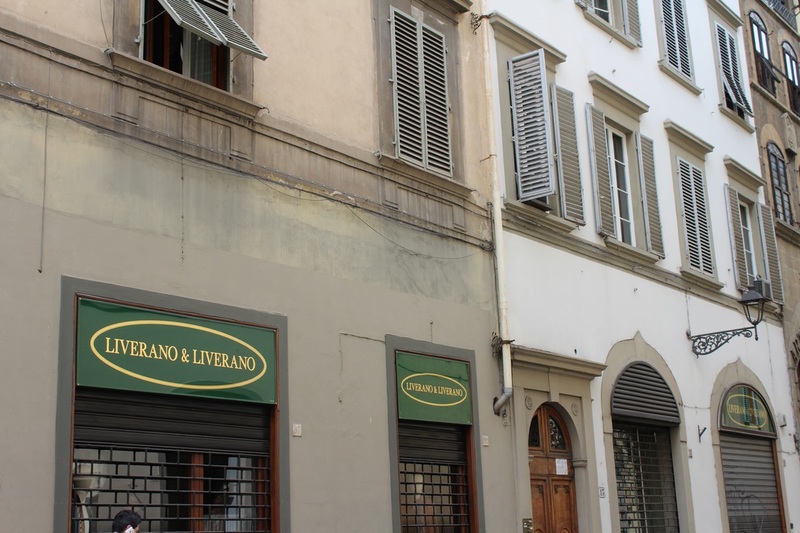 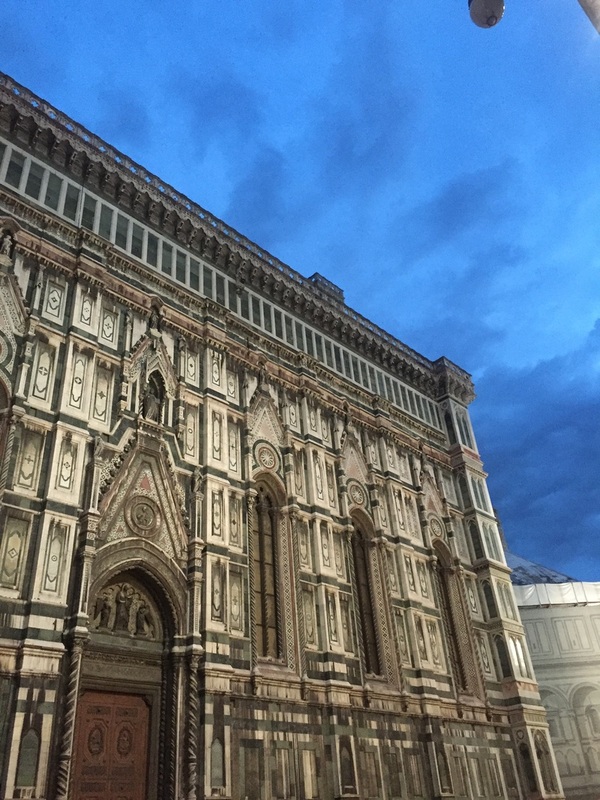 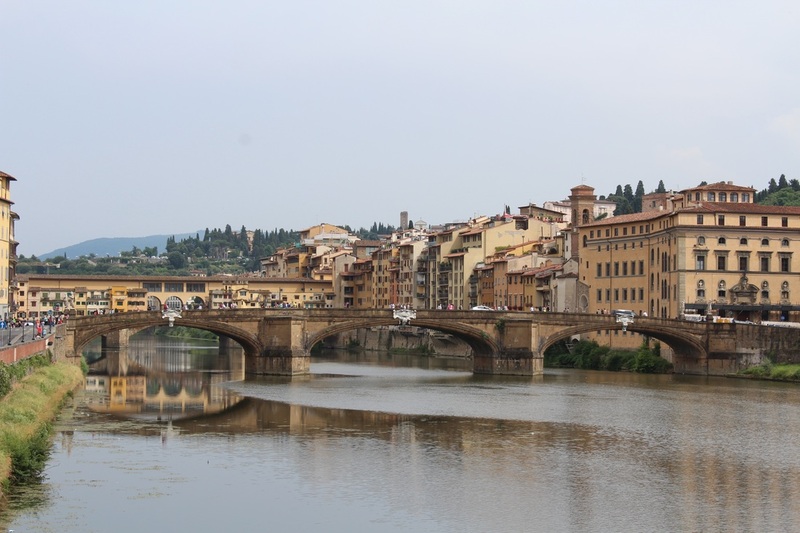 Operation: A Curated Man Goes To Florence is now official. 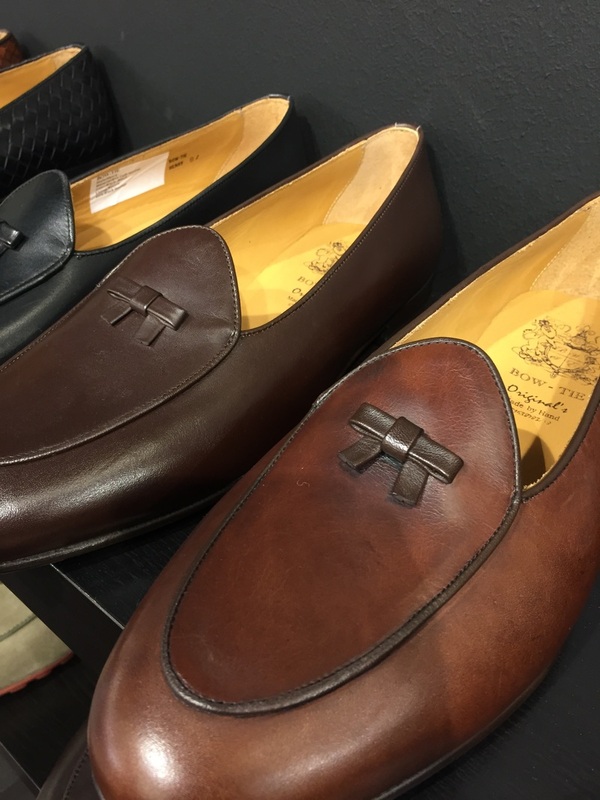 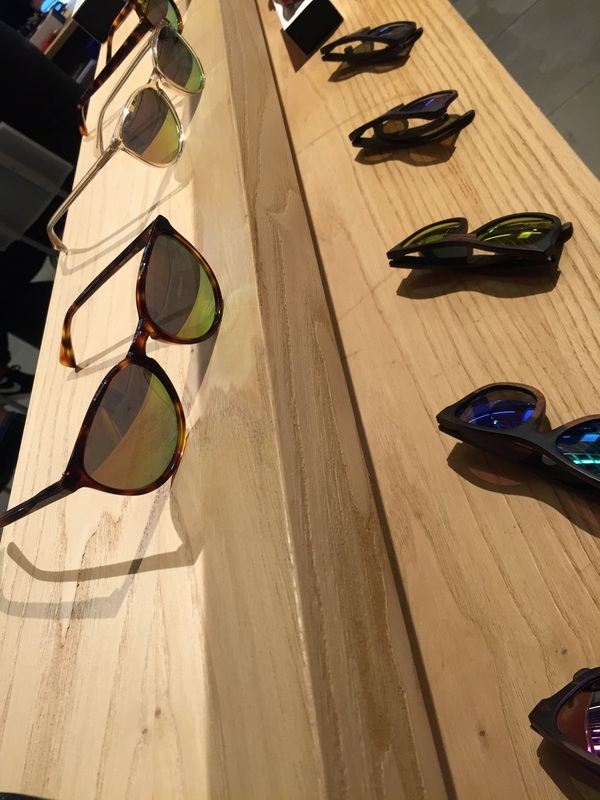 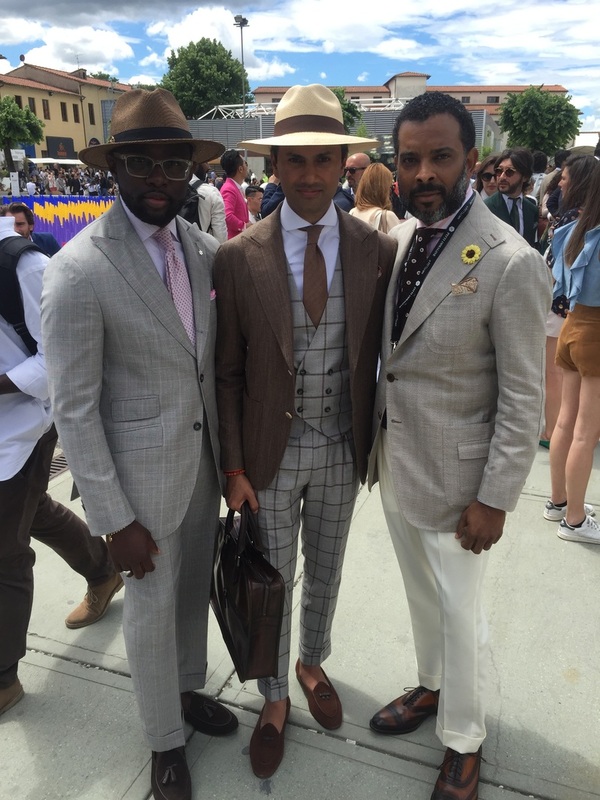 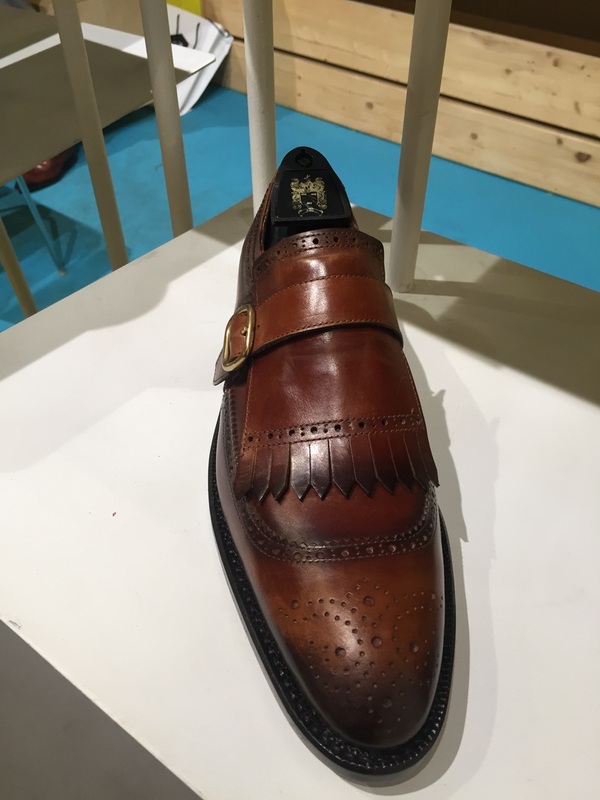 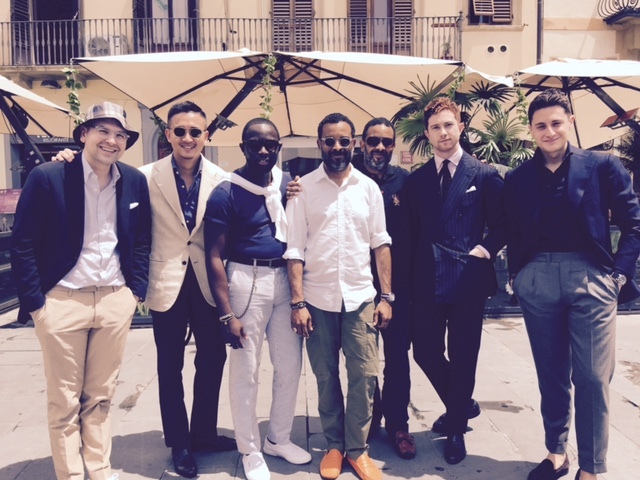 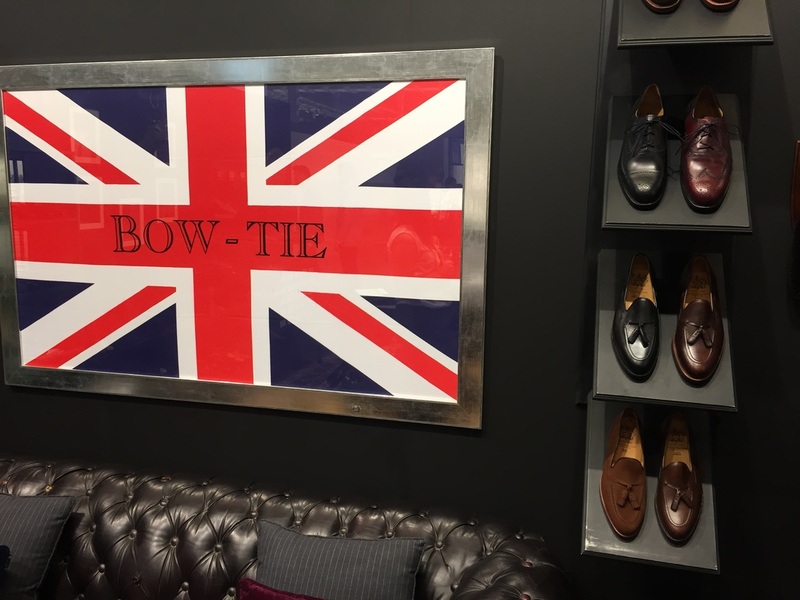 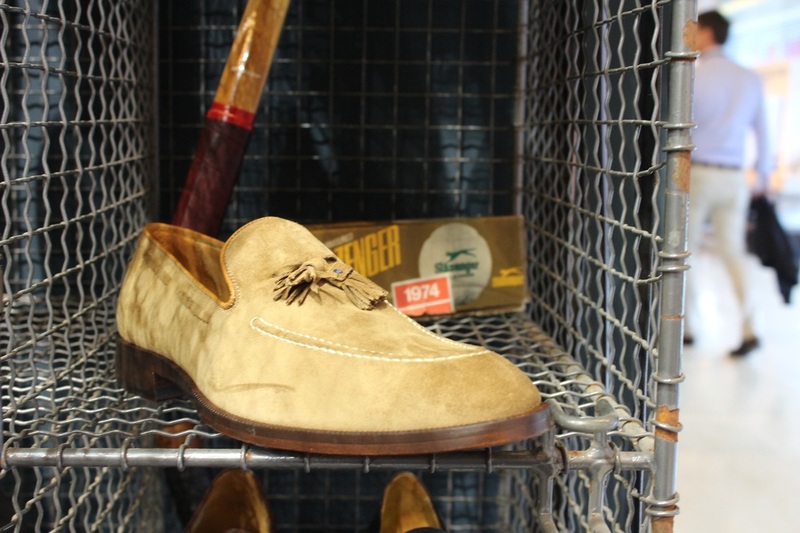 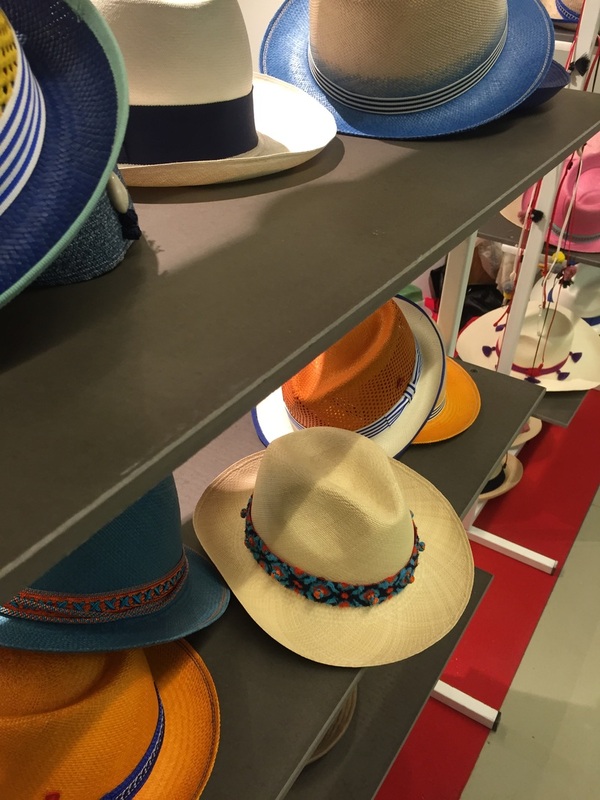 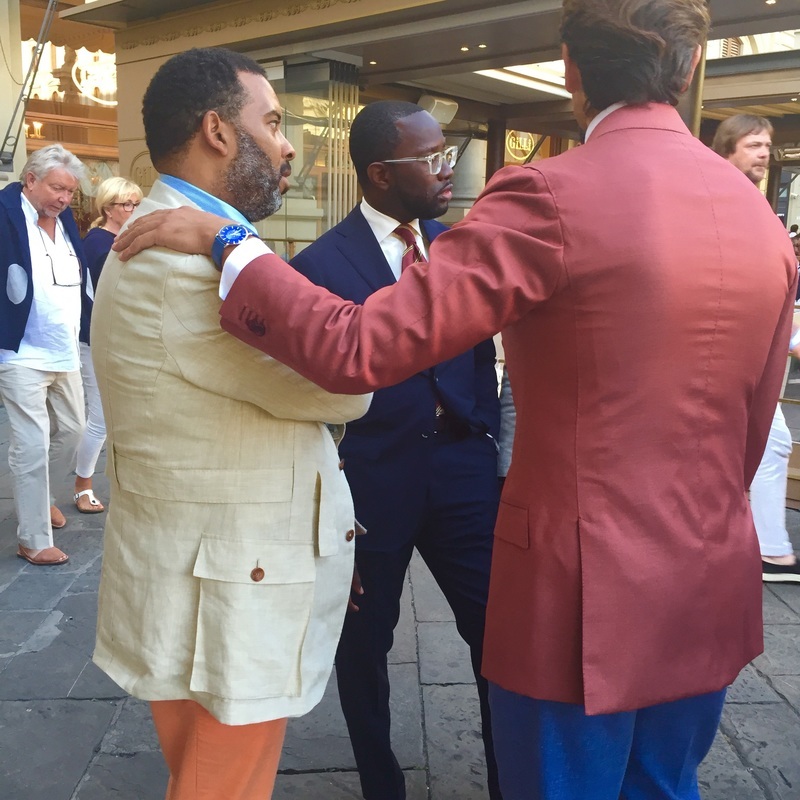 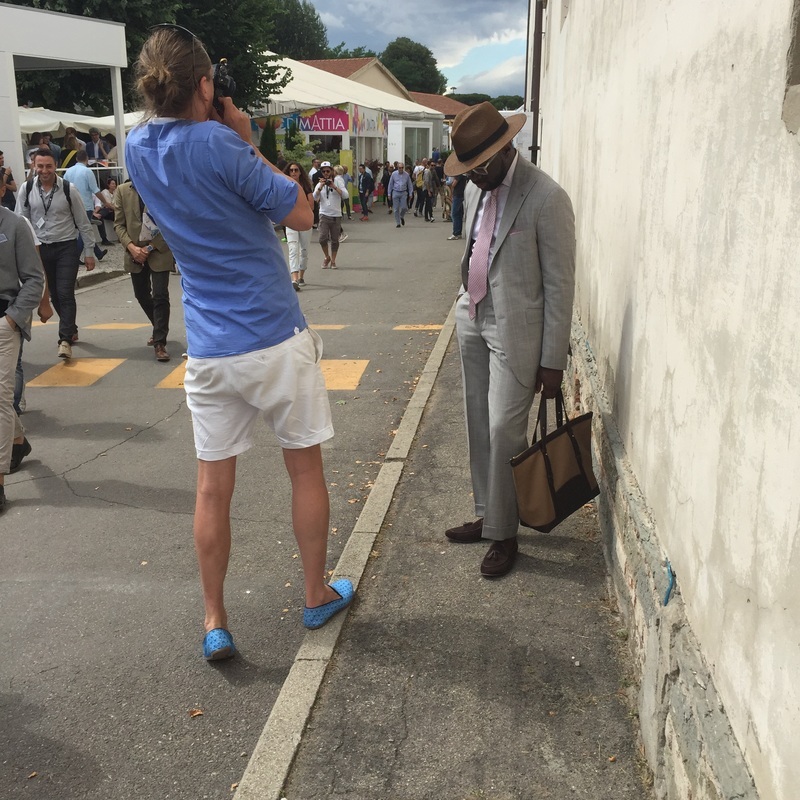 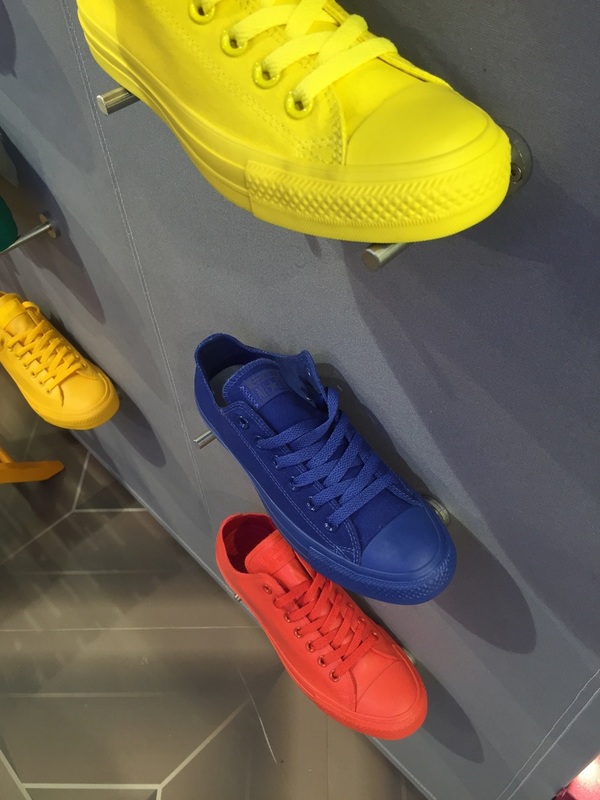 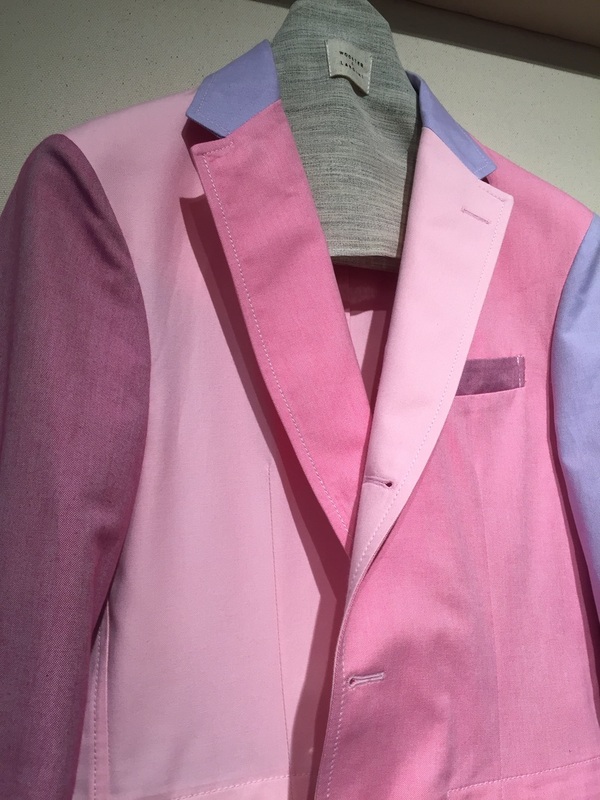 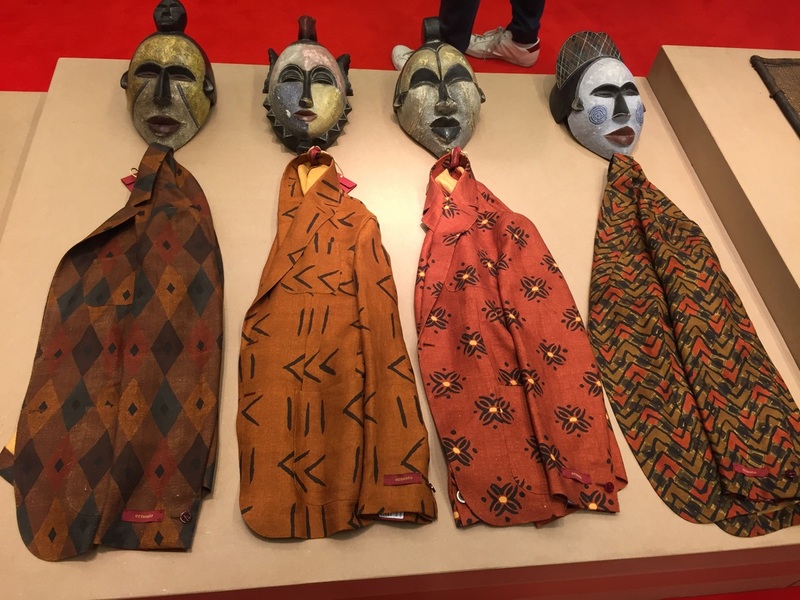 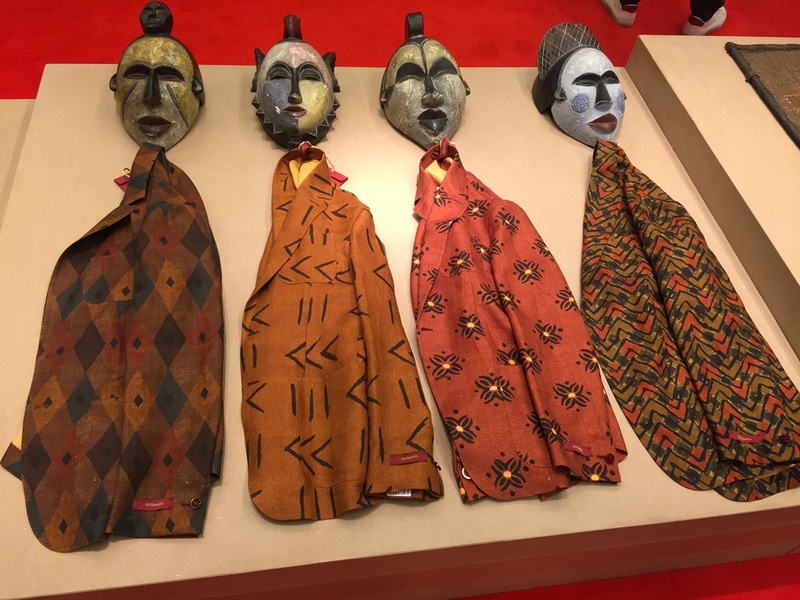 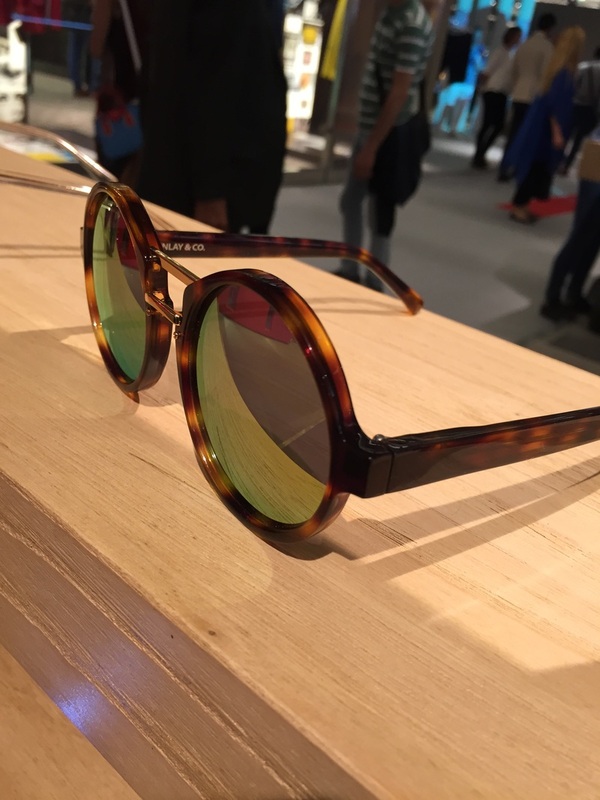 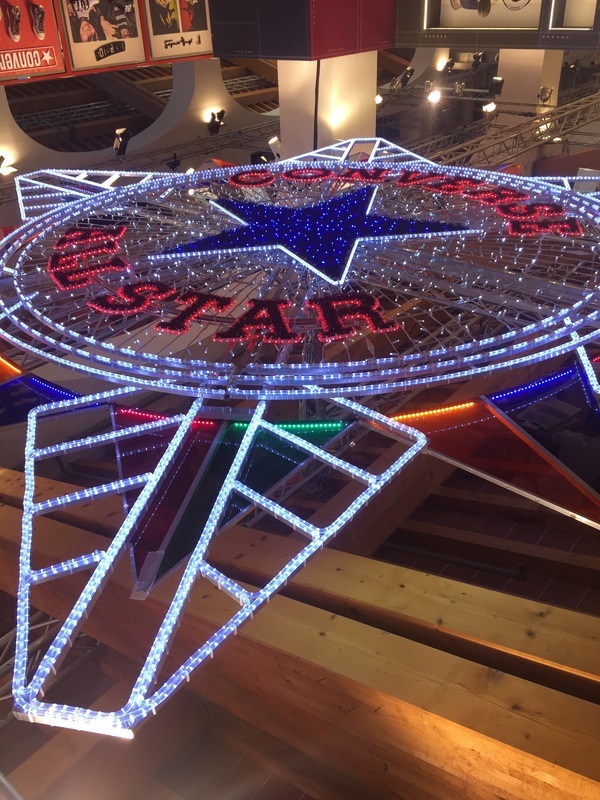 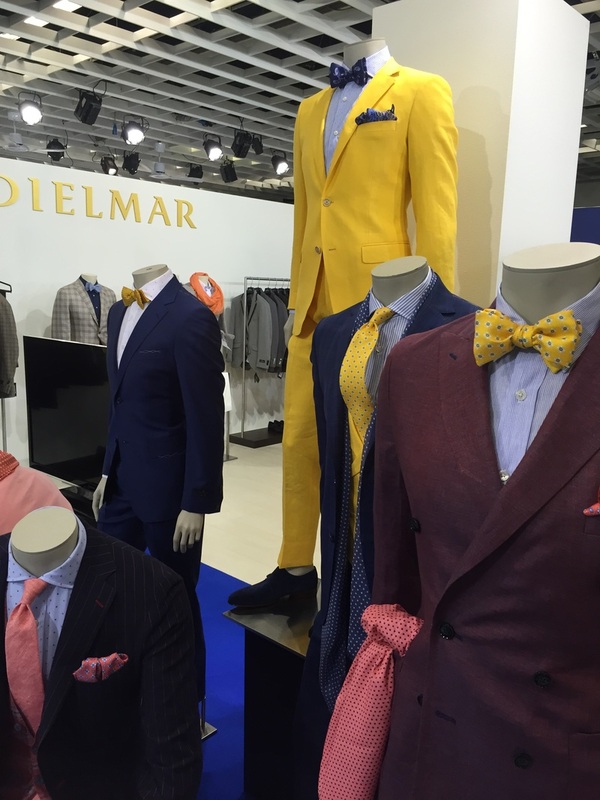 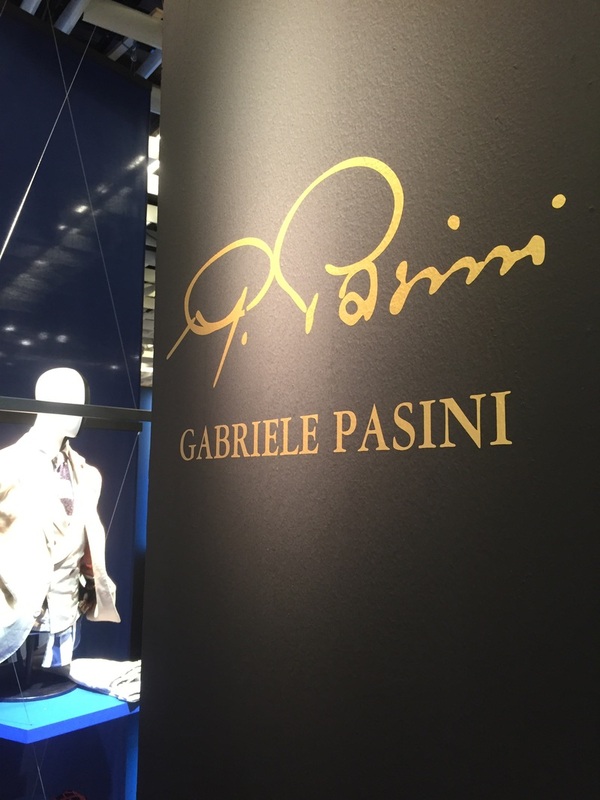 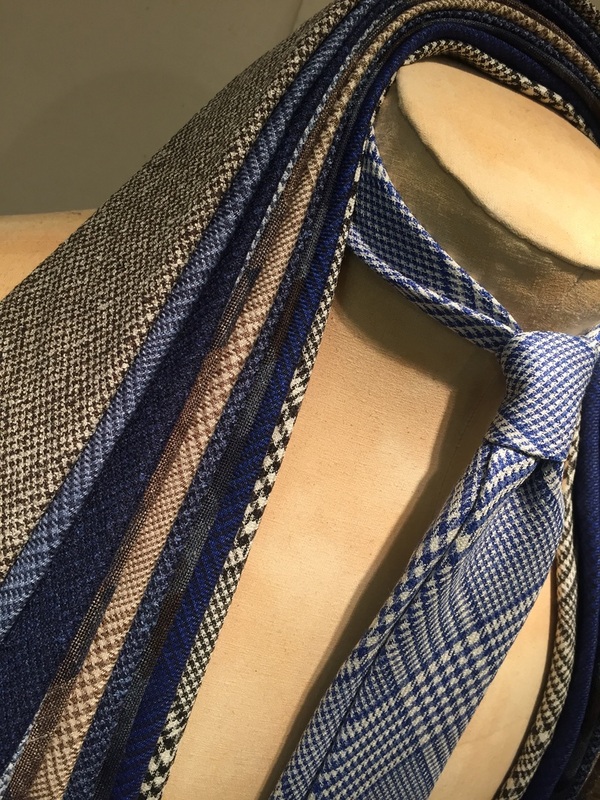 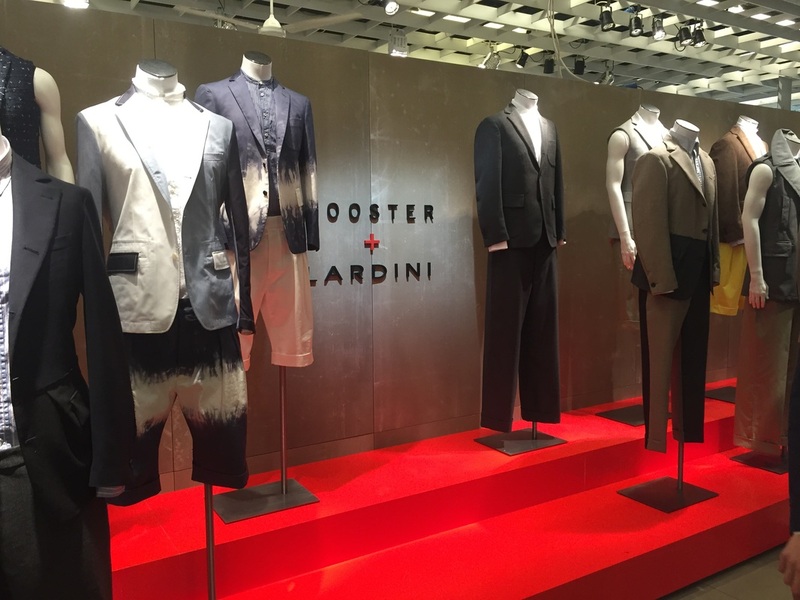 I plan on live blogging and updating this page with images during my experience at Pitti 88. 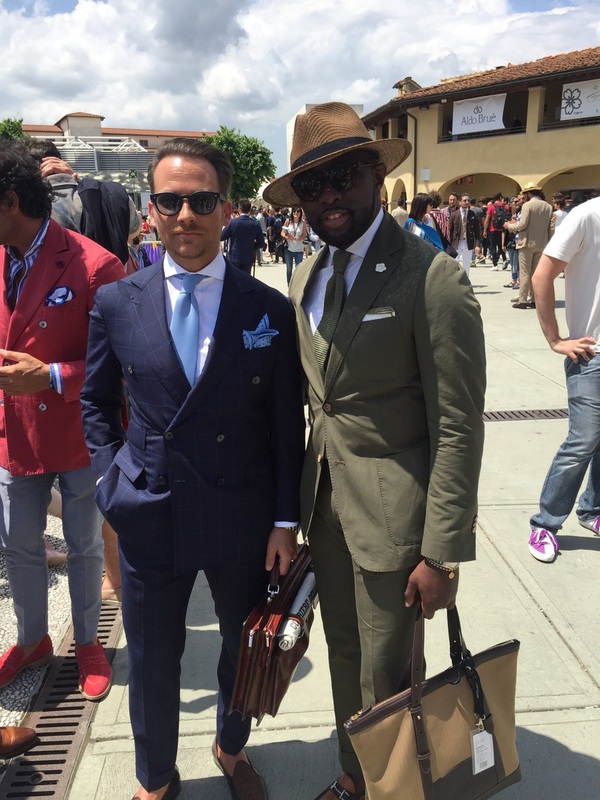 Meanwhile, check out the Pitti Immagine site here for more details on the upcoming fair. 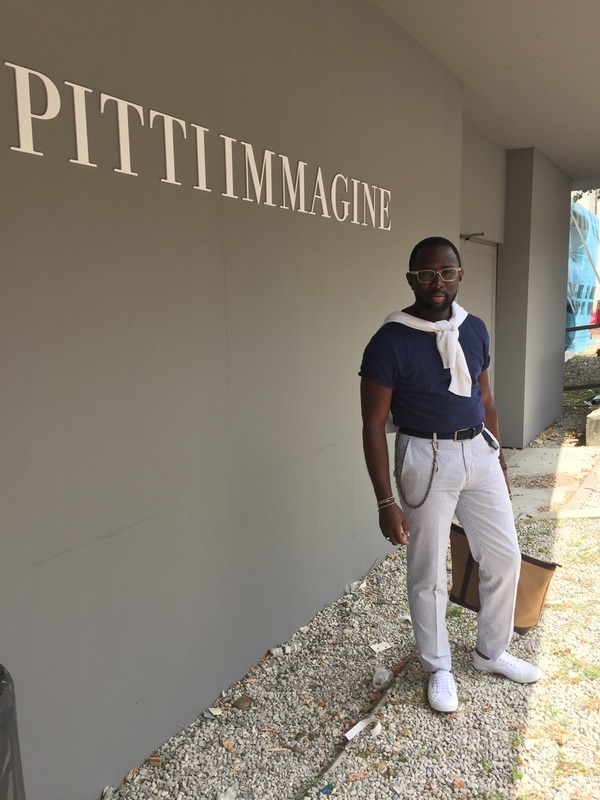 Not too long after making our travel arrangements to Florence, I submitted my application for a blogger pass to Pitti Uomo 88 because after all, if I was going to do this I might as well as do it the right way. 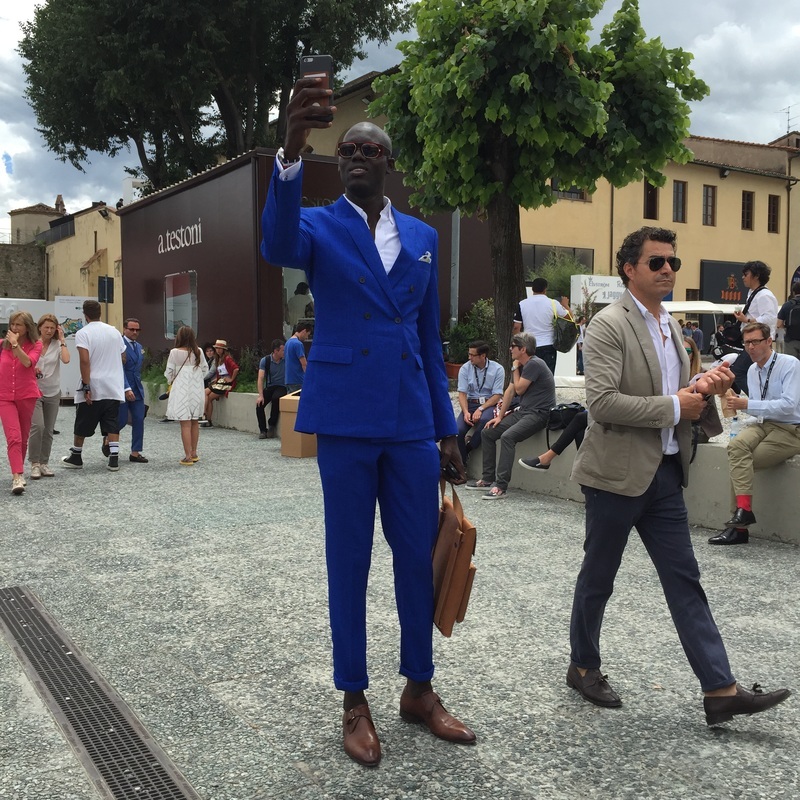 Don't me wrong, I plan on doing the circuit of the Fortezza da Basso, but I would also like to check out the exhibitors inside. 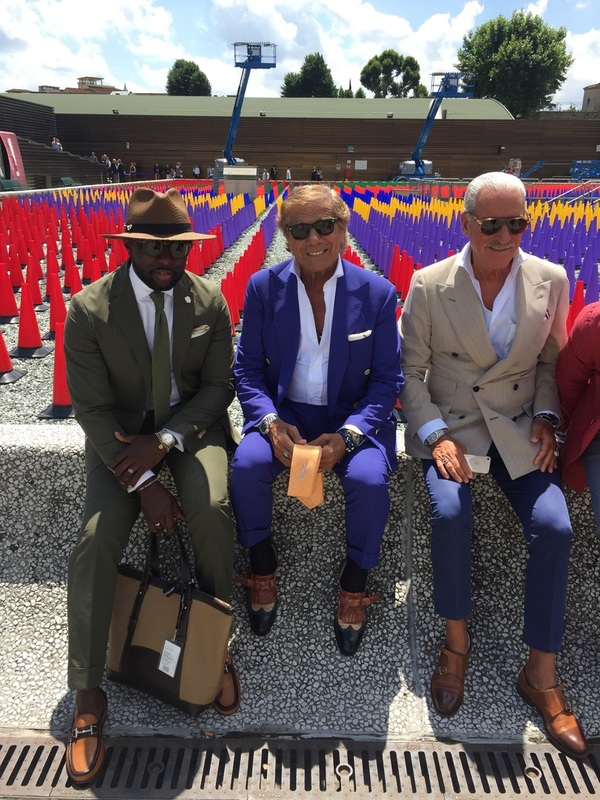 After registering on the Pitti Immagine website, I wasn't quite sure if it worked as even though the website translates into English, I wasn't able to log in. 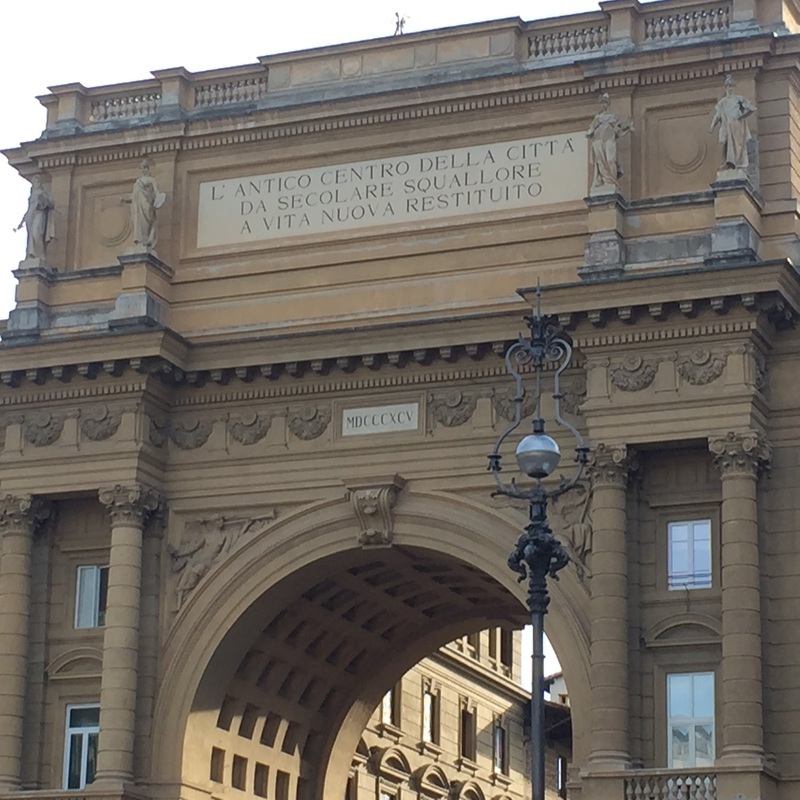 Turns out there is a verification process before you are granted access. 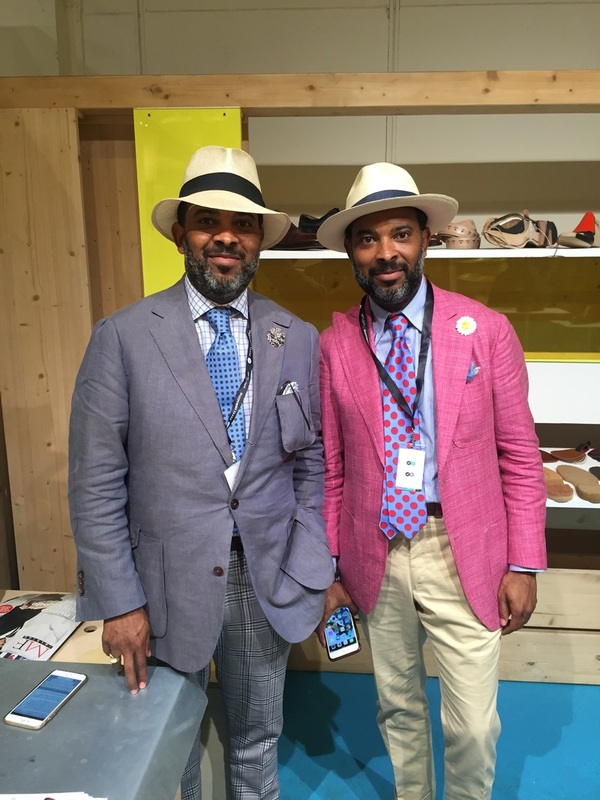 Got the email letting me know I'm official today and now I'm really looking forward to picking up my Pitti card. 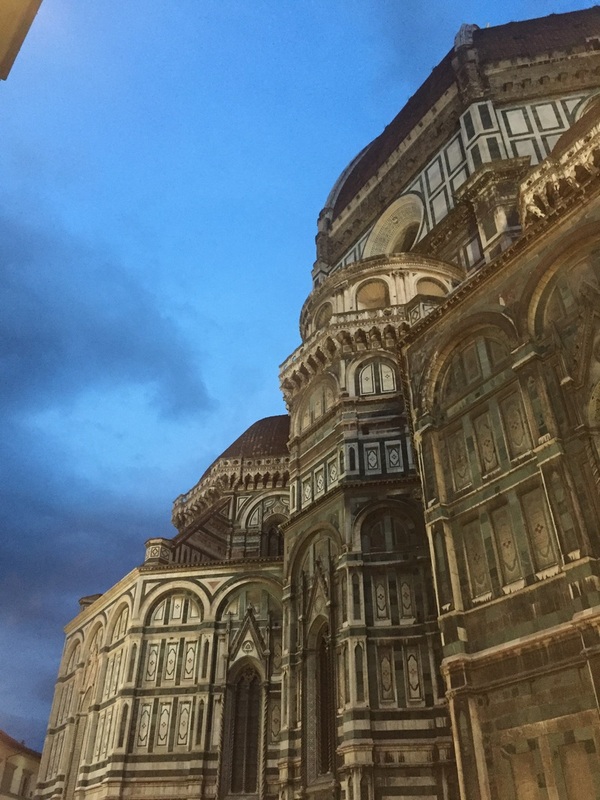 Currently sitting at the airport waiting to board my flight to Florence. 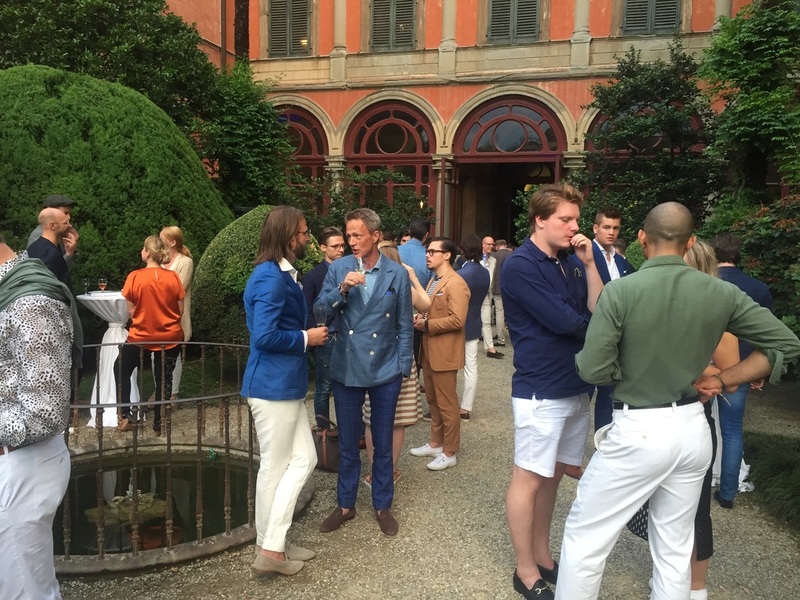 Over the last couple of weeks, I have received a number of invitations to events being hosted by various brands during Pitti Uomo, which quite frankly I think is kind of cool. 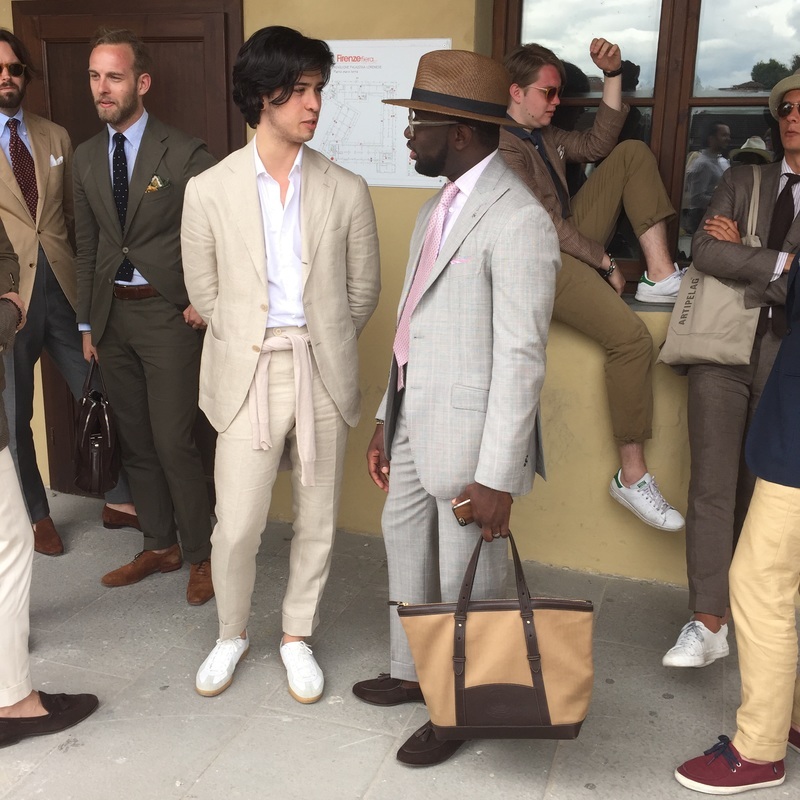 Being able to go to all of them isn't really an option, but they confirm the appeal of truly being there the possibility of "internet fame" aside. 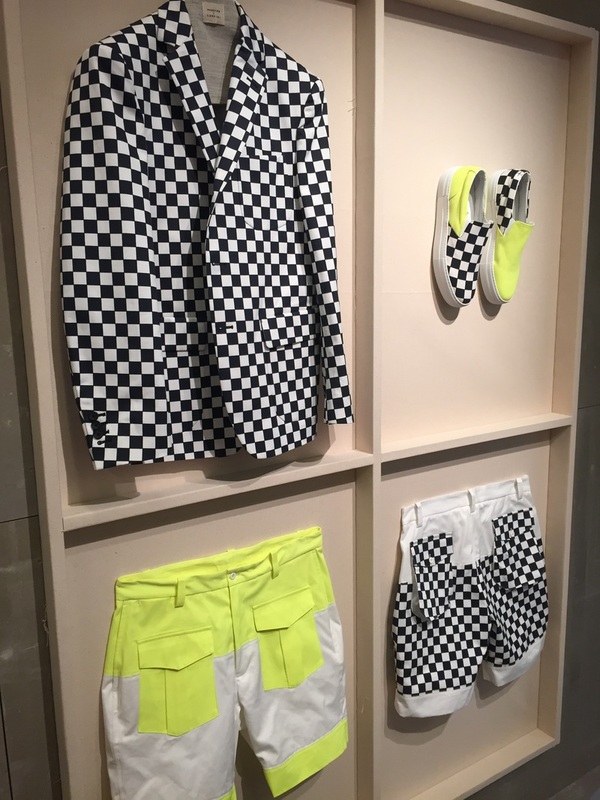 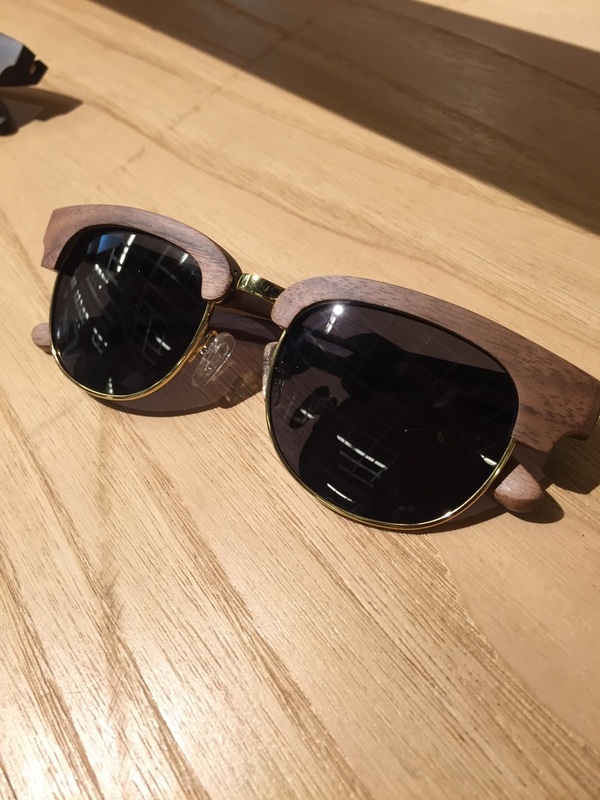 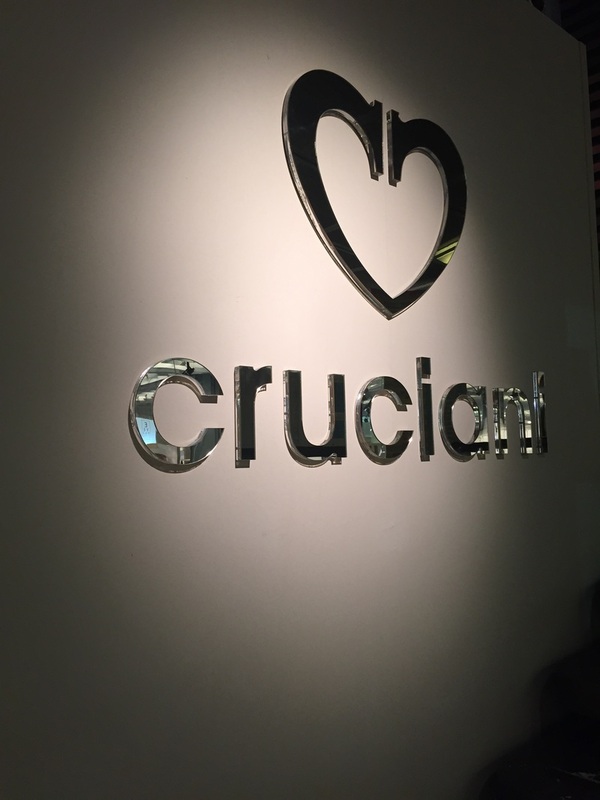 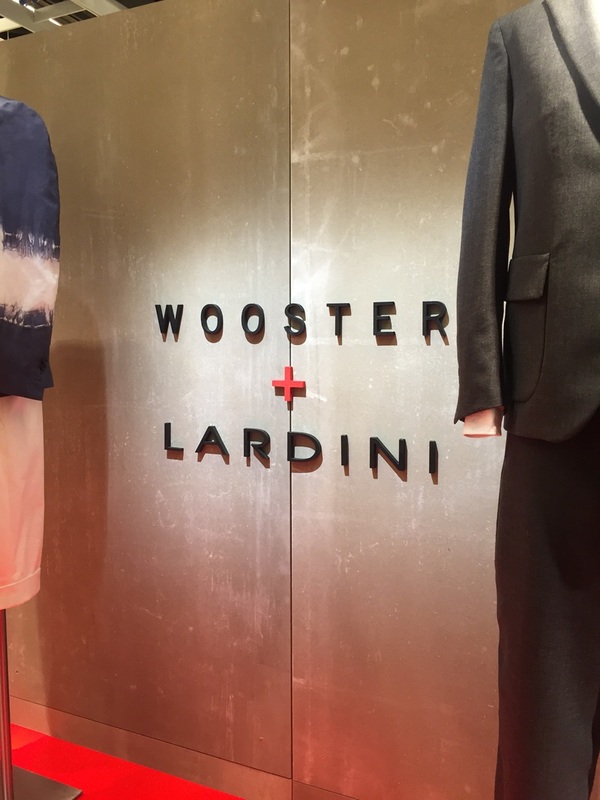 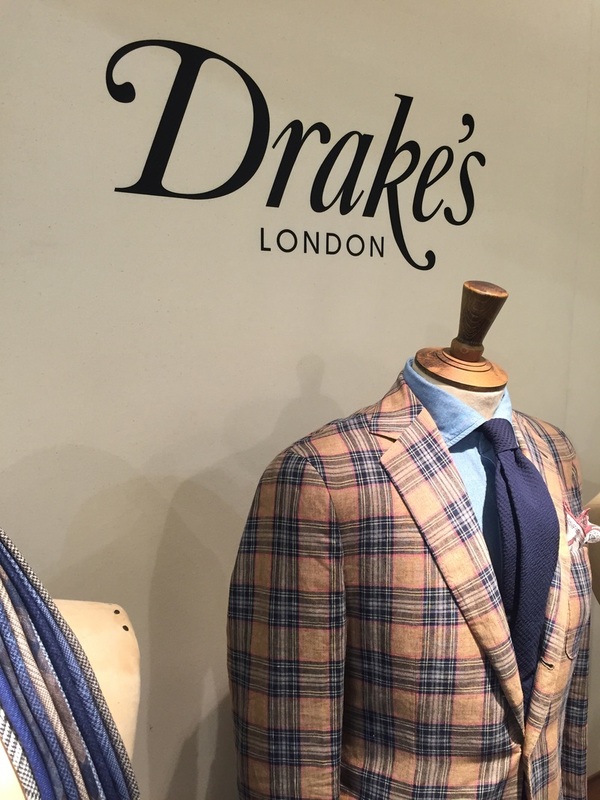 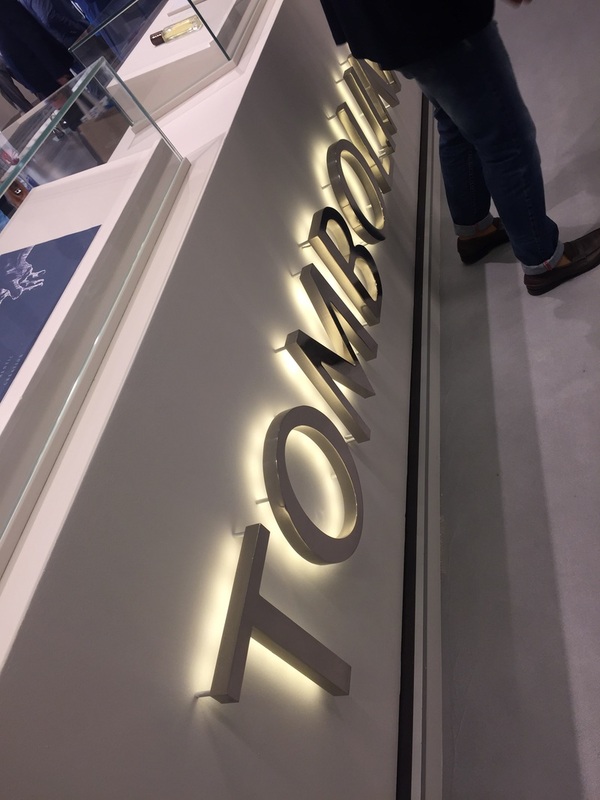 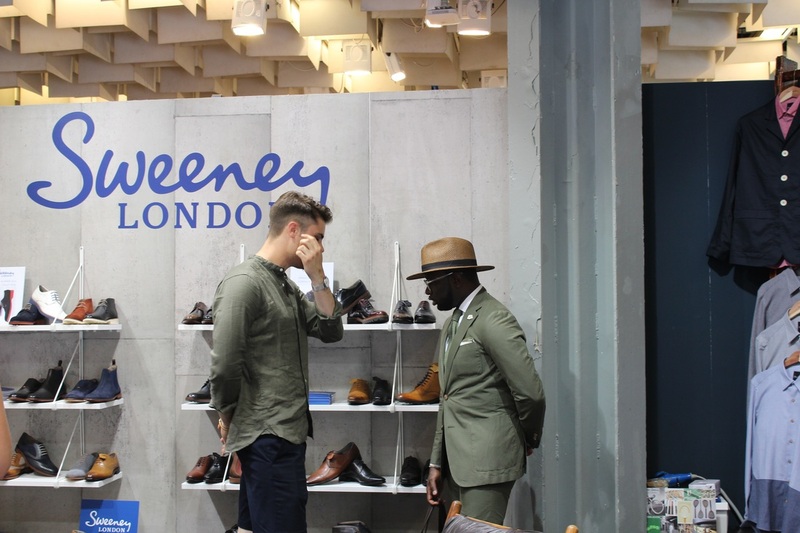 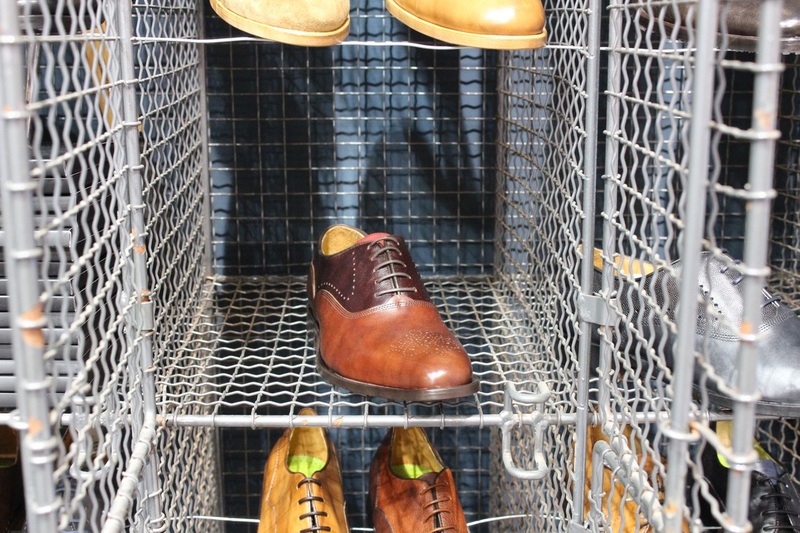 Getting to see products and concepts first hand in a space dedicated to and surrounded by folks who share an appreciation for menswear and style seems like a good way to disconnect from the daily grind while gaining some knowledge. 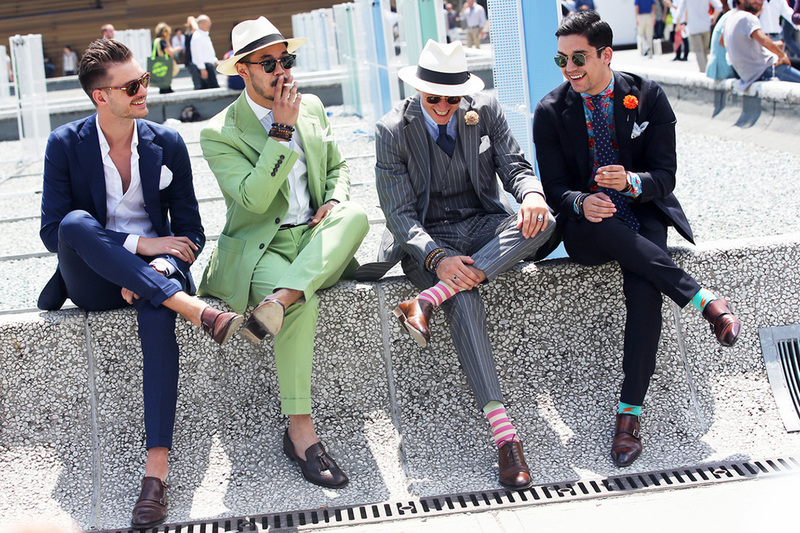 Be sure to stick around.